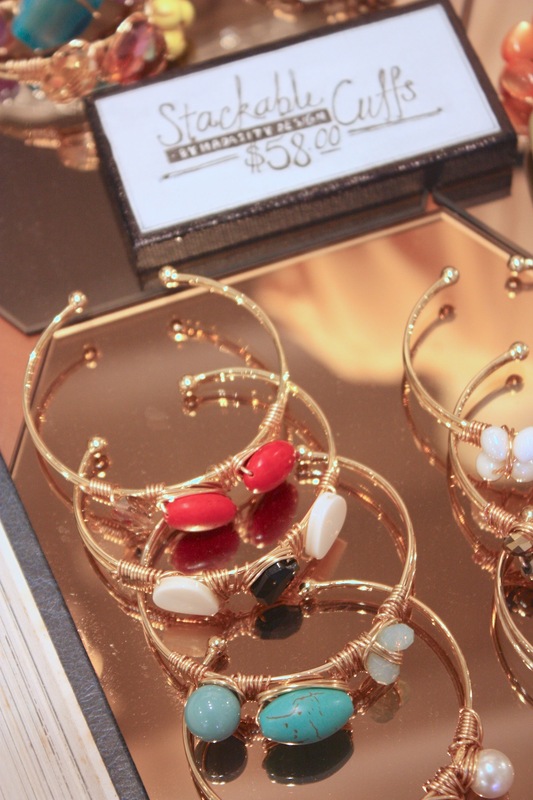 Jewellery we like from Max and Chloe! 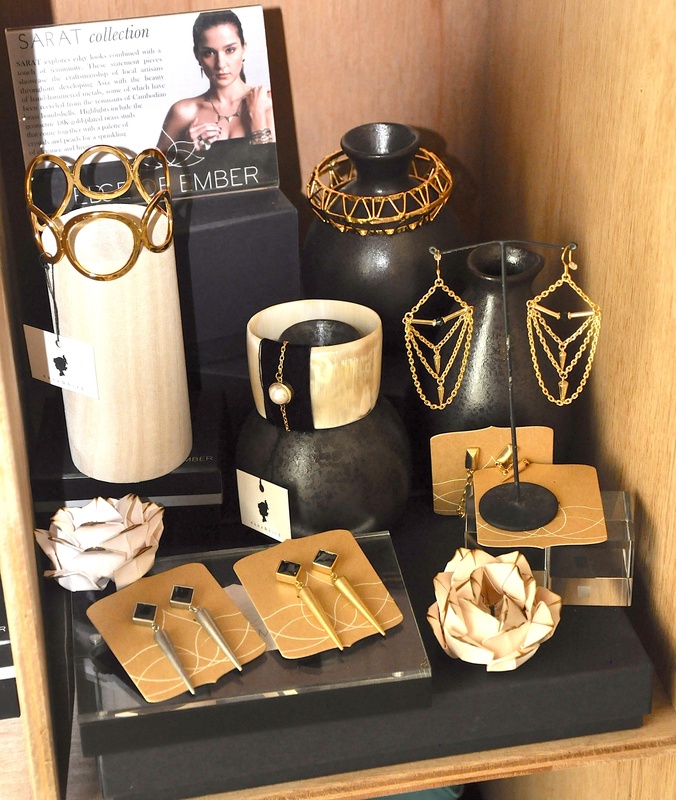 We love all the below jewellery – all available from MaxandChloe.com – one of our fave online stores for purchasing accessories, and yes they ship to Singapore!! Let us know which one you love most! 1. 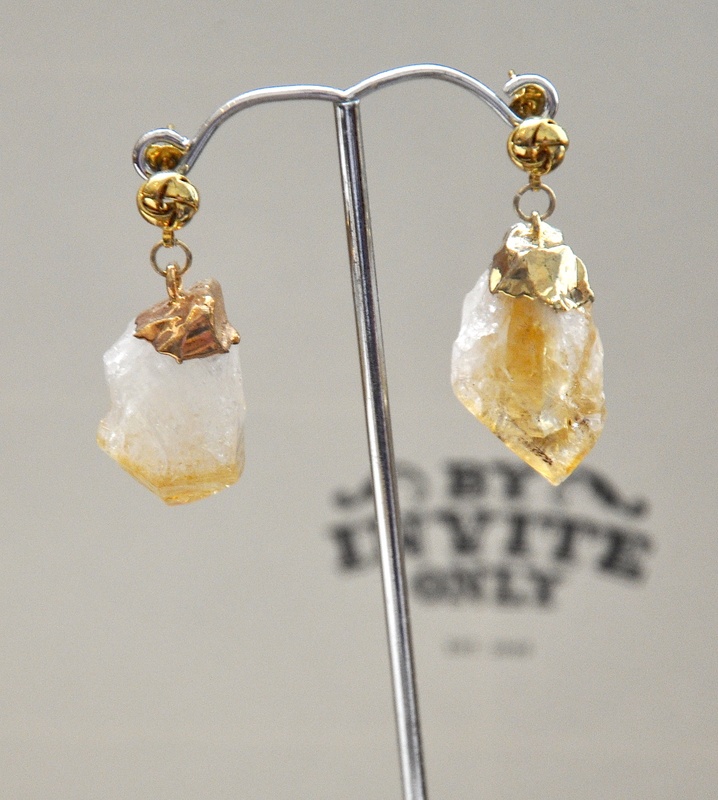 Holy Harlot Mauve Gem Earrings: $95 USD (SGD115) – LOVE THIS! 3. 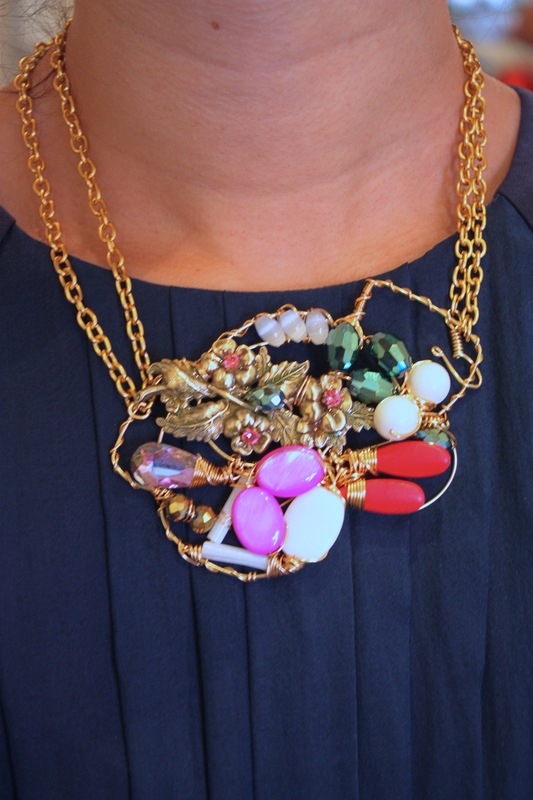 Ruby Kats Melange Necklace: $160USD (SGD195) – This is our favourite piece! If you purchase over $150USD you get a free gift! 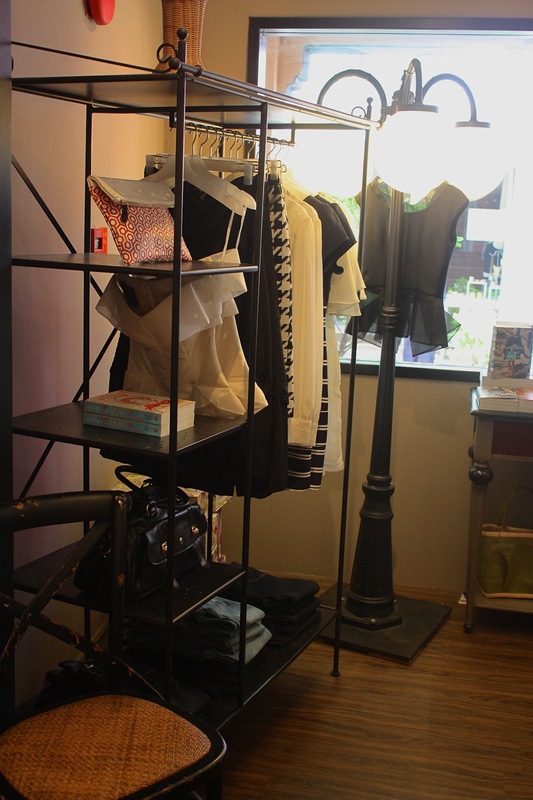 Here are some of the clothes at Salad shop – there seems to be quite a botanical theme here!! Awesome floral top in MUSTARD. Still can’t get enough of this colour! Priced at SGD79. As we continued to walk under Singapore’s scorching sun and what felt like a 100% humidity, we found Salad Shop, nestled towards the end of Haji Lane. The name caught our attention, so we decided to step inside to satisfy our curiosity. 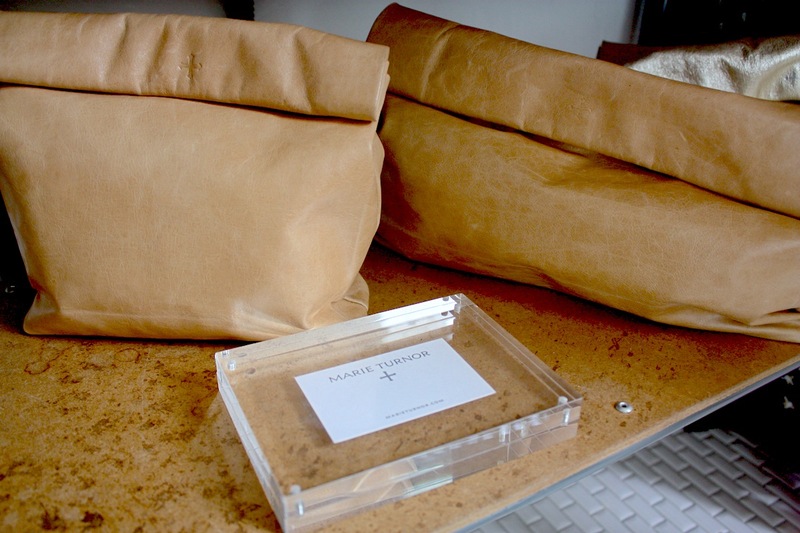 The first thing we noticed was the wonderful scent in the shop, which immediately will put anyone at ease. 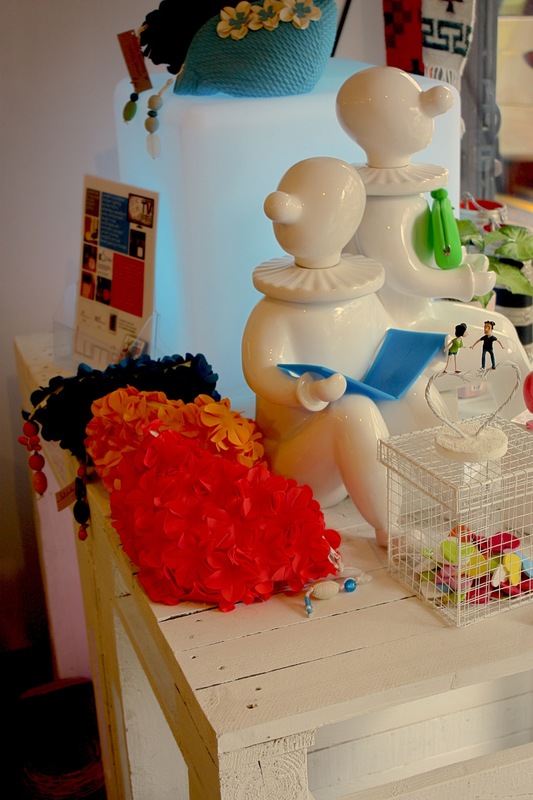 The second thing we noticed was the shop’s adorable decor, it really feels like being in a sale bowl; the shop has a colorful mix of bits and pieces – all deemed worthy of being ‘eye candy’! At a glance, the first part of the shop has a ‘Jones the Grocer’ feel to it, the concrete floor and the stacked shelves again the wall. The plants make it look like a very upscale nursery! For all of you who are interior design aficionados, this shop will definitely inspire you. 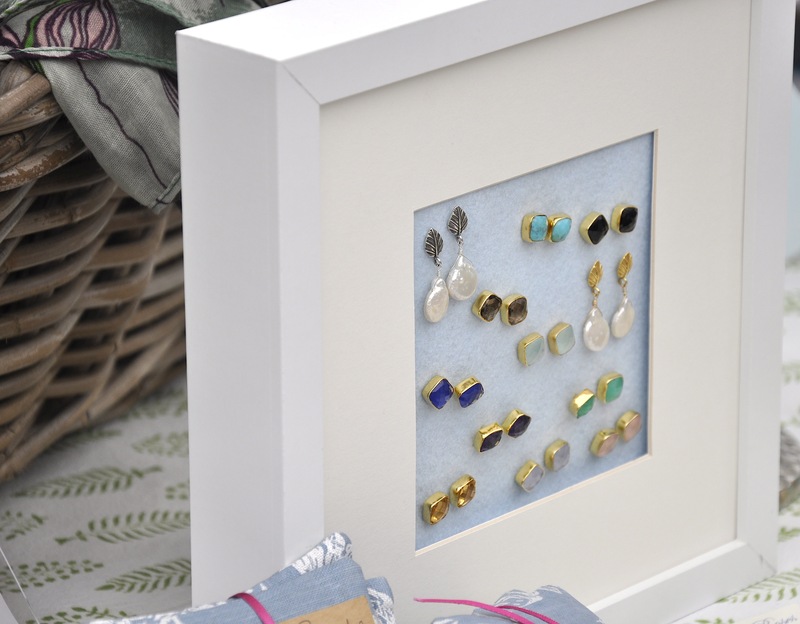 Do you have an empty glass jar sitting in the corner of the drawer wasting space? 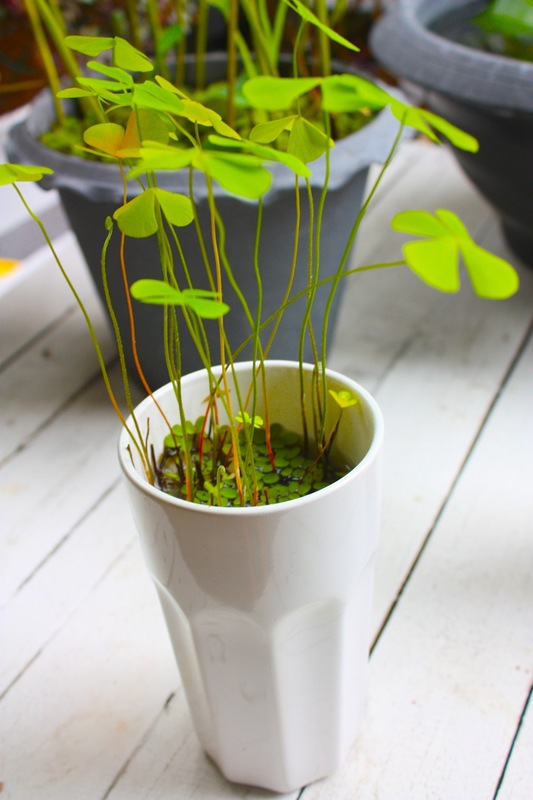 Turn it into a mini flower jar. Natasha secretly has a couple of those. We totally love the cutlery hanger, perfect to hang your colorful apron and oven mitts in style. Just when we thought it couldn’t get any better, we discovered a staircase leading us to the second floor! 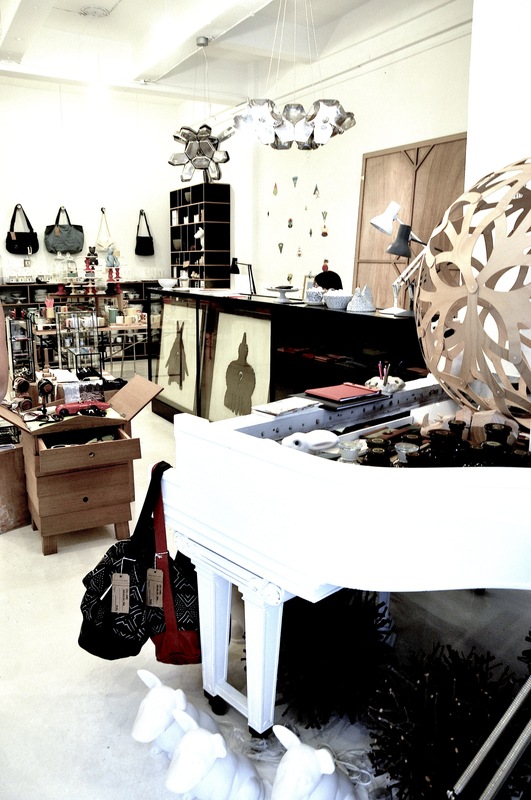 It is filled with home decor goodies such as cutlery, glassware, vase, you name it they got it – and of course more clothes and accessories. 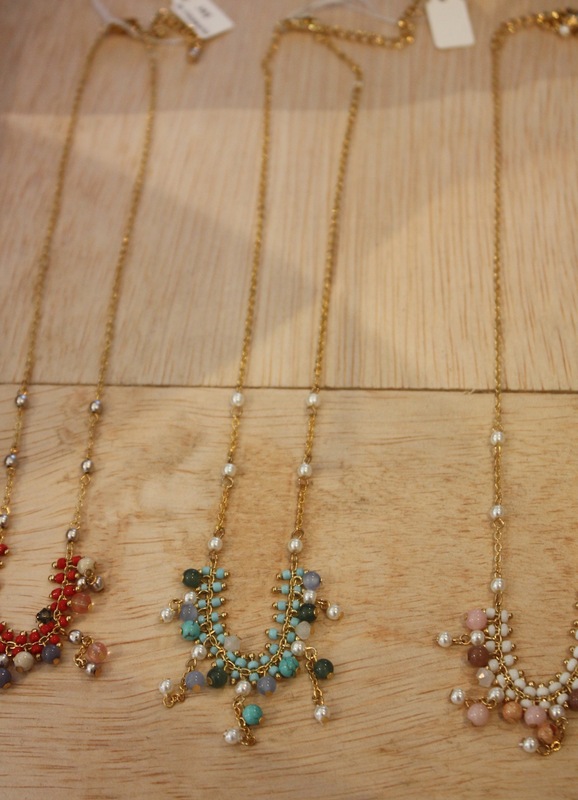 The necklaces are very dainty and delicate. The quality is superb! And we are loving the way they’re displayed. Message in the bottle? Great idea for home decor. We were so inspired and started to think that maybe it’s time to renovate the apartment. Hm….. This little corner is picture perfect! We need not say more. We LOVE the orange top and botanic-looking skirt ensemble! The bright orange is so striking against the toned down graphic green pencil skirt. Wear it with wedges or flats or stripy sandals or pumps (see how versatile the outfit is?). 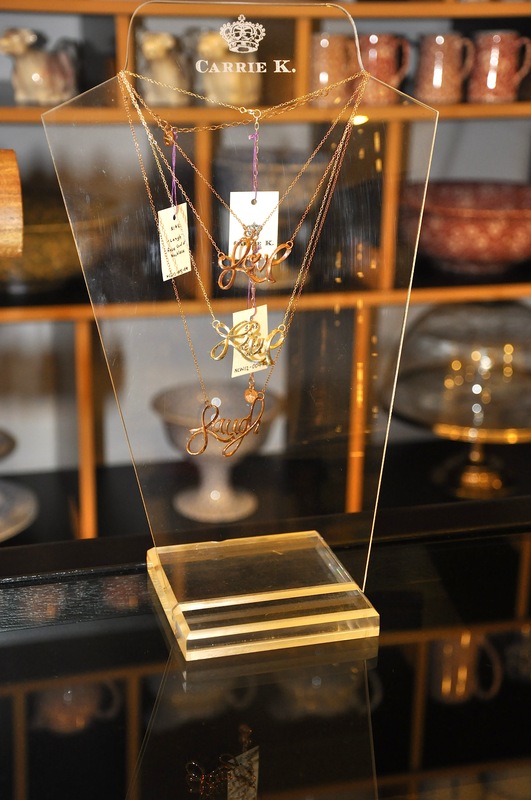 How gorgeous are the necklaces?!! We want them in every color. We are loving what Pamela is wearing! The black and white is classic and a no brainer, but combine it with a bit of neon yellow in all the right places and stack bracelets and the unique leather clutch? Genius! Who says neon polish doesn’t work in the office?! Pamela totally rocked this look to perfection, not too over the top, but far from boring. 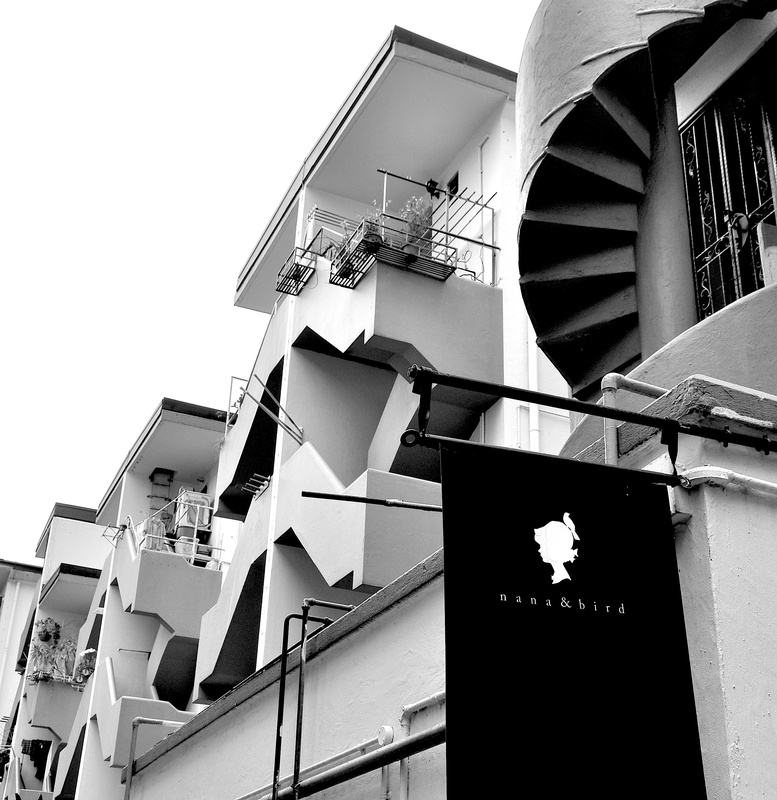 After our successful adventure to Zhai a few weeks ago, we decided to go back to Haji Lane to spot a few more cute shops. We were on a serious mission to spot our next favorite shop (we have MANY favorites). Armed with strong will and womanly instinct, we ended up at Soon Lee located opposite of Zhai. Soon Lee is amazing. It’s a combination of Nana & Bird and Flea and Trees, with a little bit of Peachy and Shiva and Otkuda, combined with all other gazillion things we’ve blogged on. We were in heaven. We did not waste any time, so we ogled at the gorgeous clothes and accessories and snapped a few pics (okay a few as in 30 photos). 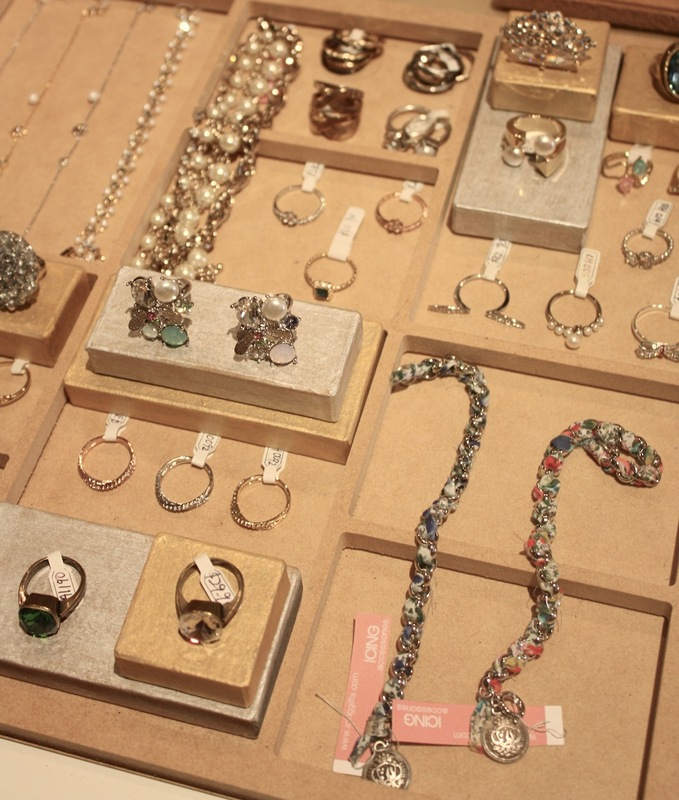 We love the bracelets, necklaces and stacked rings so much! The details and craftsmanship is simply awesome. The combination of colors definitely serve as eye candy. WE WANT THEM ALL!! How cute is this monochrome corner and the lamp post just adds a bit of oomph on the dark wooden floor. The black and white houndstooth is a timeless piece that every woman should invest in. When we saw this mannequin, we just had to stop and snap a picture of her. The whole combo works, and whoever said that denim on denim doesn’t work – well, let’s just say we beg to differ. 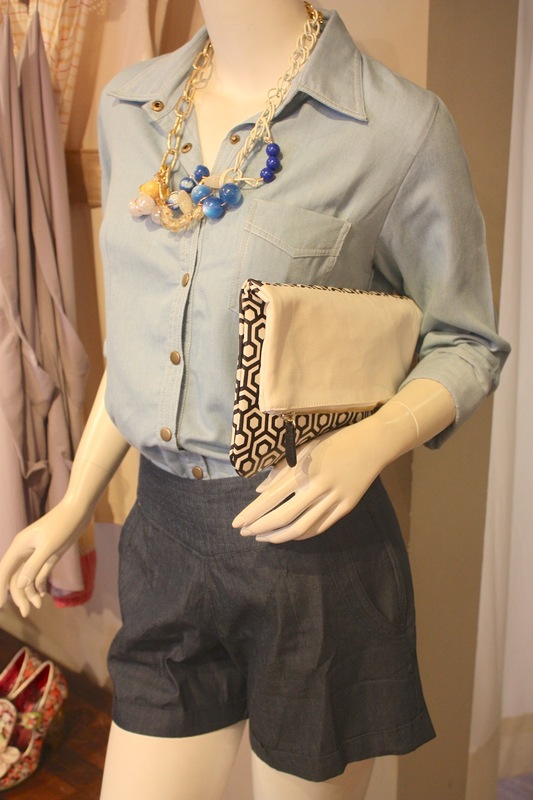 The statement necklace compliments the whole outfit perfectly, and the clutch bag adds a nice touch. Feeling boyish? Take out your old white Converse and wear them with a bit of attitude with this outfit. 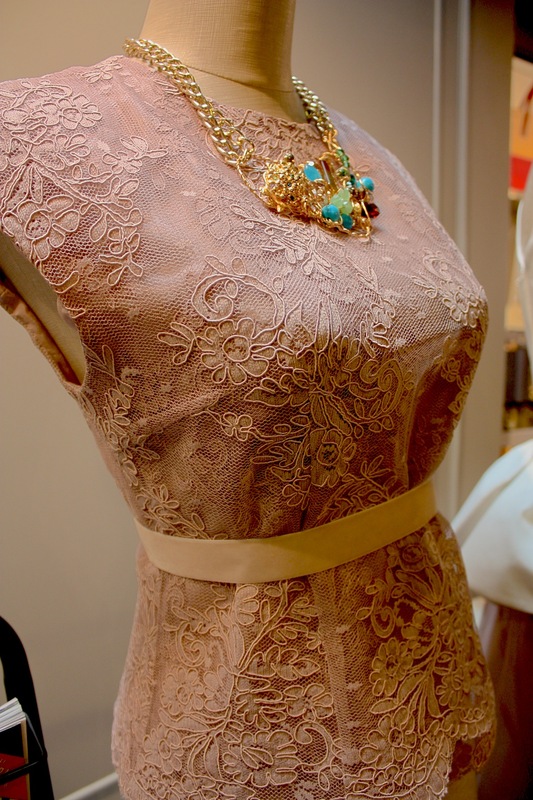 If Audrey Hepburn or Grace Kelly were still around, they would definitely have this outfit in their closet. Wear a simple black ballerina flats with this outfit or put on those towering black pump stilletos for a more demure look. Don’t forget to bring your clutch! Natasha absolutely is in love with these two outfits. Everything about it screams elegance and class. From the Chantilly lace top, to the classic pencil skirt, to the fitted white top and the ribbon sash, and the skirt that would make everyone look twice (in a good way). She officially has a crush on these two combos (and she might quietly go back to the shop to get them!). The blush pink top and the details on the shoulder is perfect to dress up or down. And the necklace? It really completes this look! We both almost said it in unison “Ooh I love these pants!”. 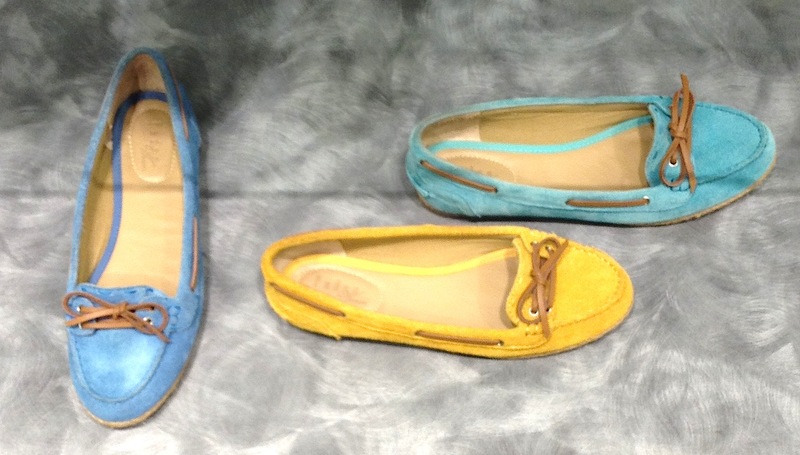 A pair of pastel ballerina flats would go so well with the pants. 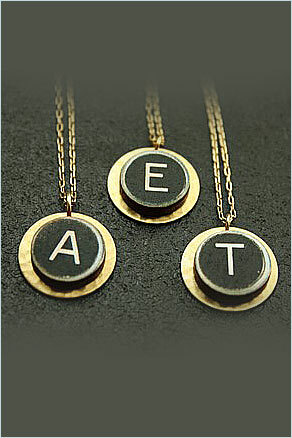 The closeup of the necklace we mentioned earlier. they’re quite steep though at SGD248 each. 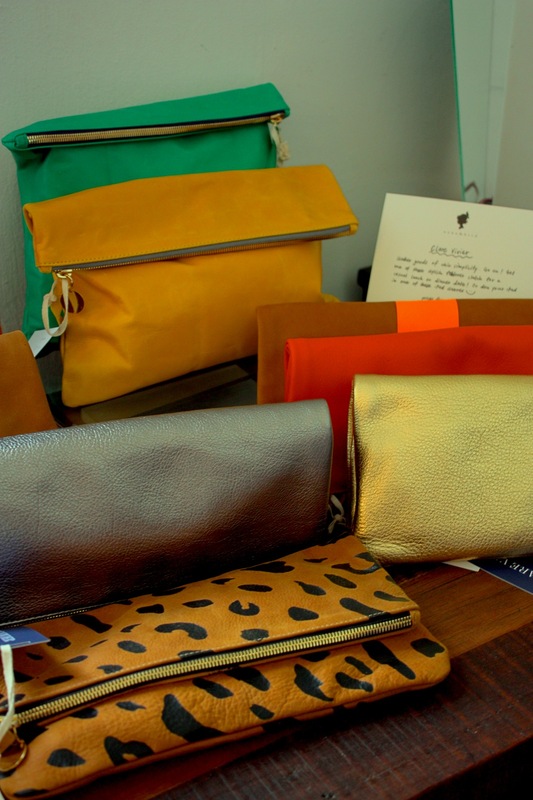 We love the colors and prints of the clutch bags. We want them all as well! Soon Lee features the most amazing accessories, from dainty earrings, rings, bracelets and necklaces to unique statement pieces. We kinda like the brooches. Pin it on a cardigan or put it on your clutch bag. We are seeing red everywhere in Singapore, so here is some of our favourite things in red right now! 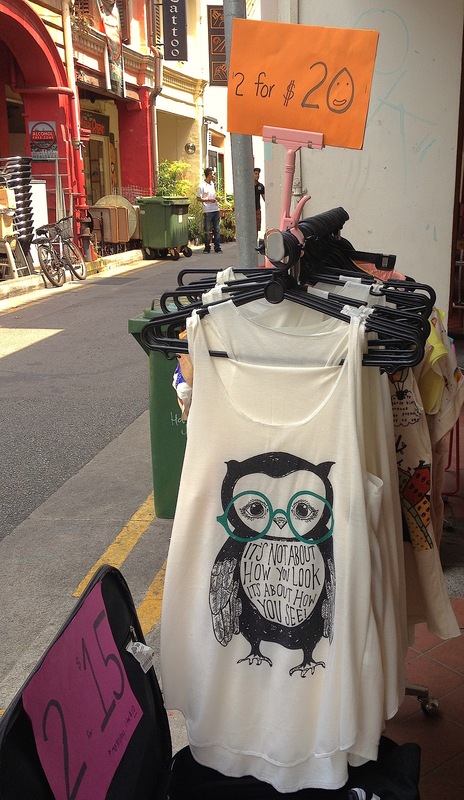 Cute & cheap tank tops @ Victoria Jomo, Haji Lane Singapore! 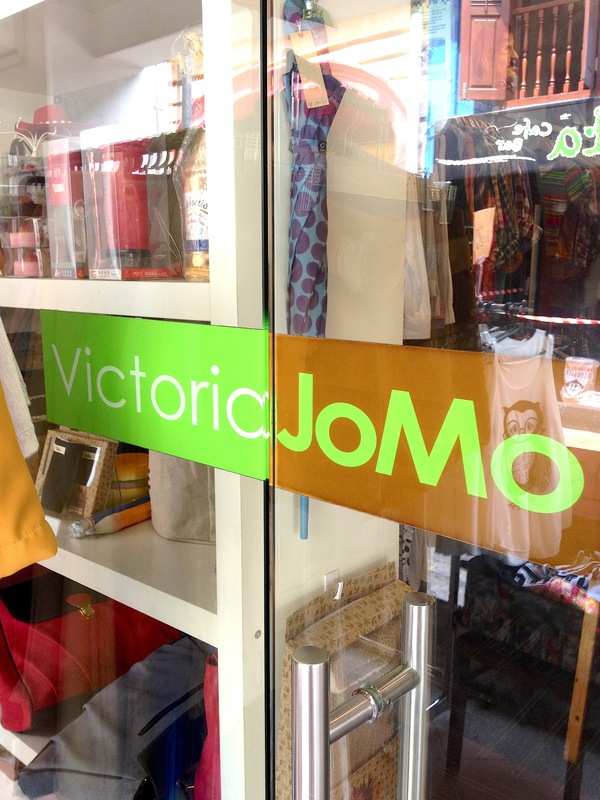 Check out these cute tank tops with creative designs at Victoria Jomo. They are definitely cheapies so don’t expect these to last, but given they are offering 2 for $20 it isn’t exactly going to break the bank! Love this tank top below – the message on it is also so sweet! There were about 10 tops in this rack we could have easily bought! This tank below is perfect for whisky lovers! 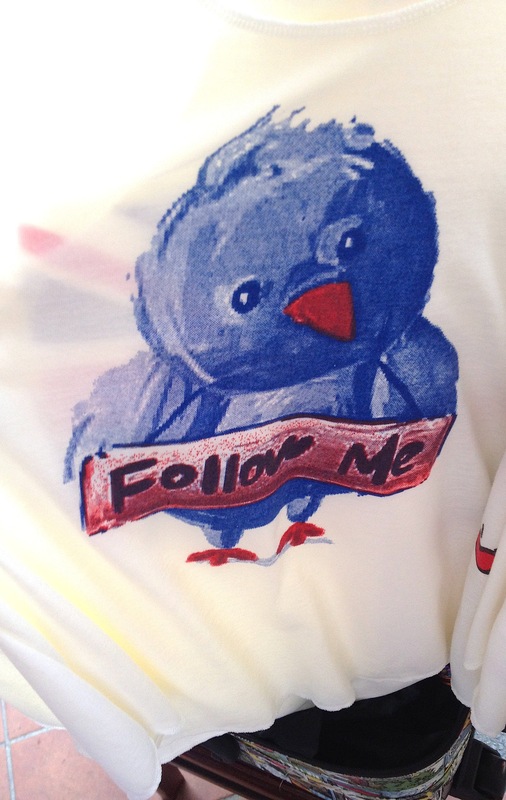 Check out this tank top perfect for twitterers! So cute – we love this. 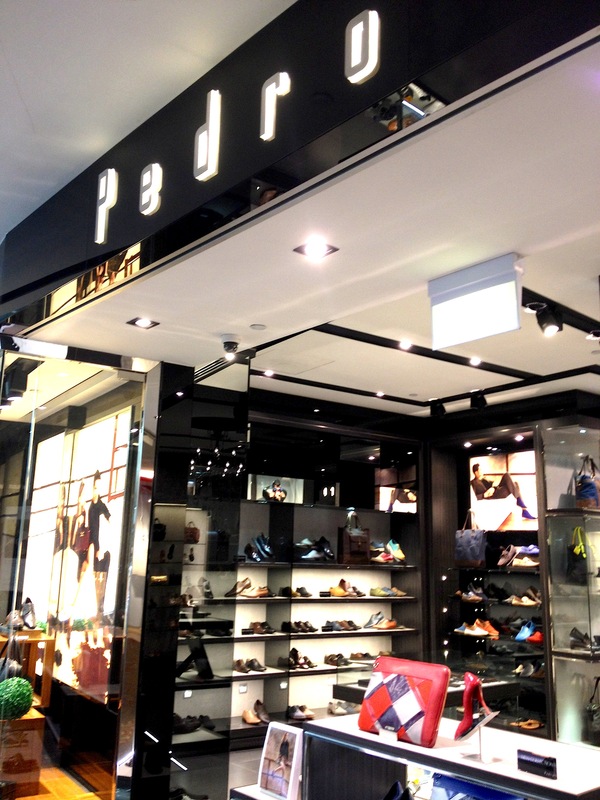 Pedro operates 44 stores around Asia including Singapore. Their collection is more upmarket than Charles and Keith but cheaper than Aldo! 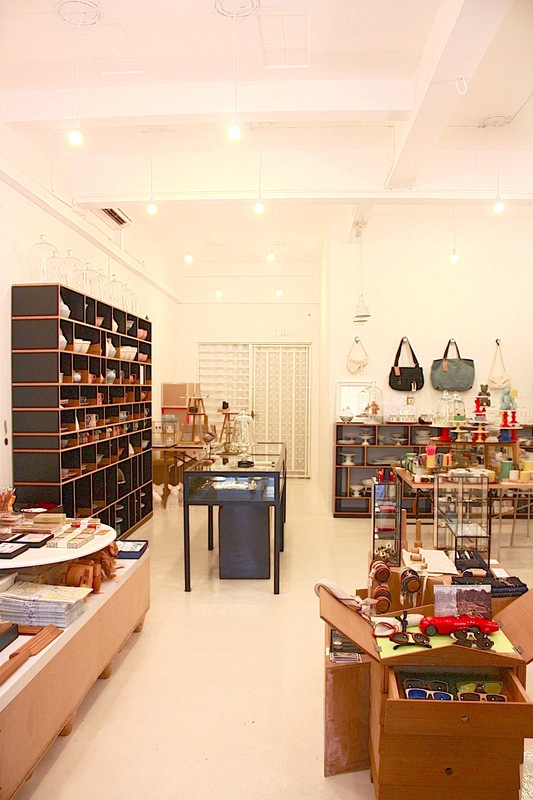 We visited the 313 Somerset store in Singapore over the weekend – check out our favourites! Loving these simple evening shoes and they’re only SGD83! 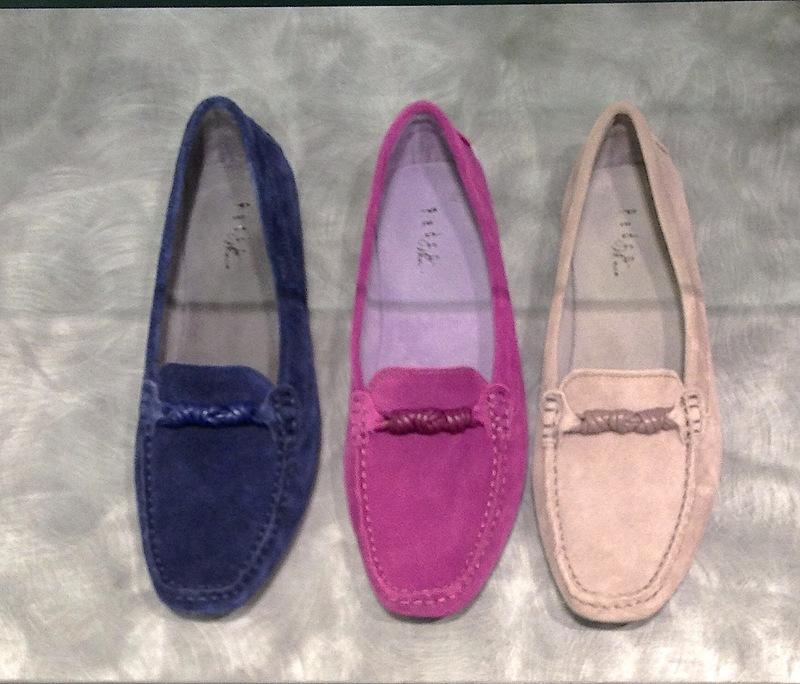 When you can’t afford Tod’s shoes, come here for a little indulgence! These (again very comfortable) shoes are priced at SGD74. Just a little cheaper than Tod’s then…. Clearly the yellow ballet pump called out louder than the others! They’re very comfy too! 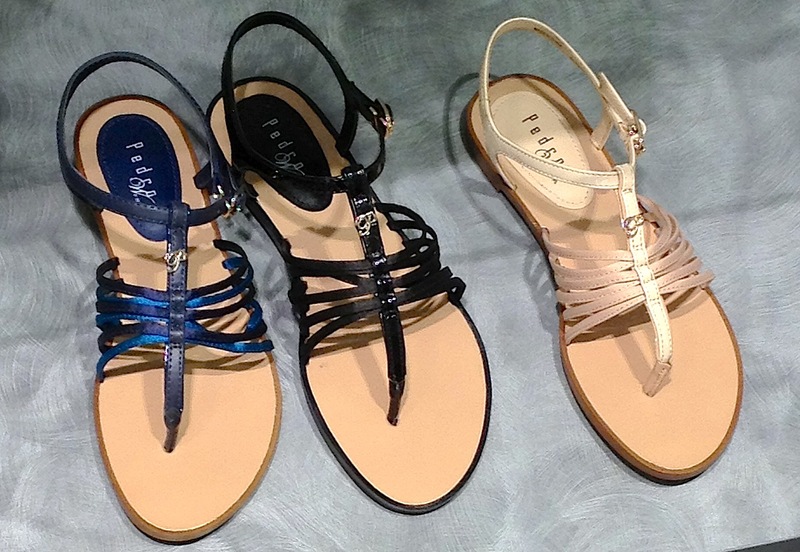 These strappy sandals below will cost you SGD59. 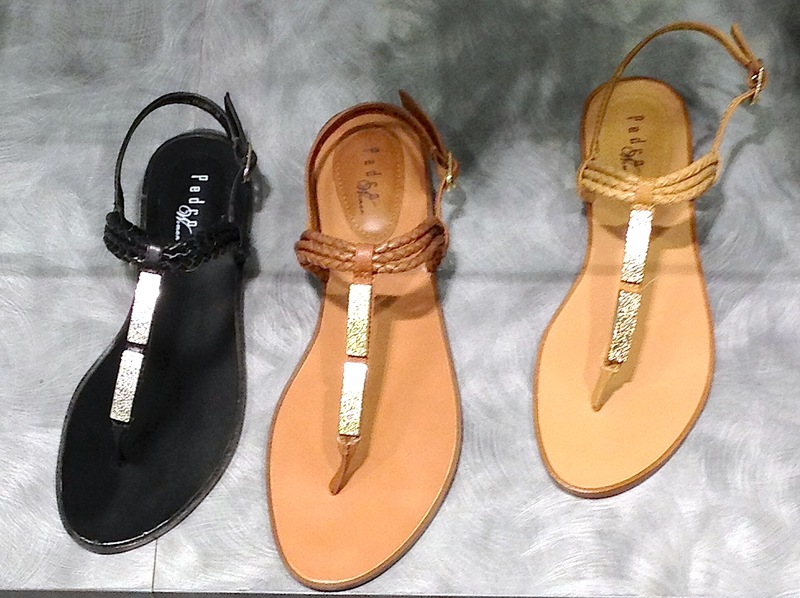 And more sandals (well in Singapore these are a wardrobe staple!) – the ones below are priced at SGD66. What’s in MANGO (Singapore) right now? Looking for a more interesting jacket? 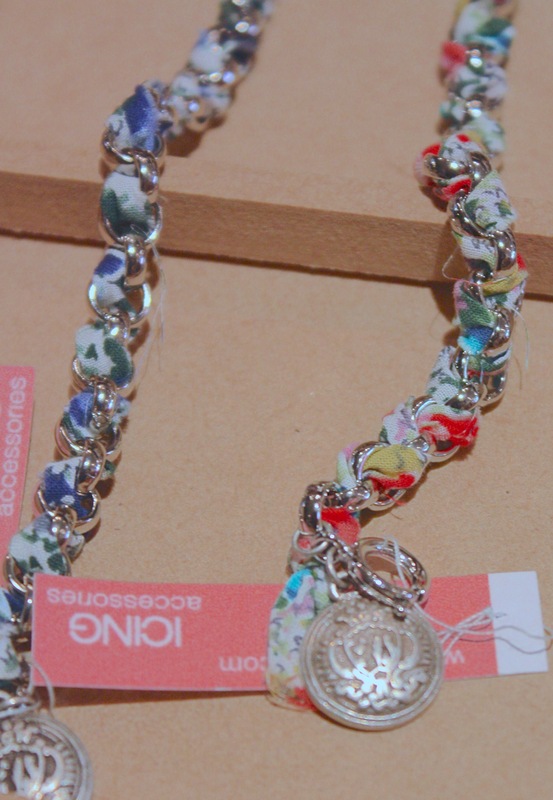 This one below is priced at a very reasonable SGD69! This jacket below is even more versatile (who doesn’t need a black jacket?) and we love the gold zips! Priced at SGD89. 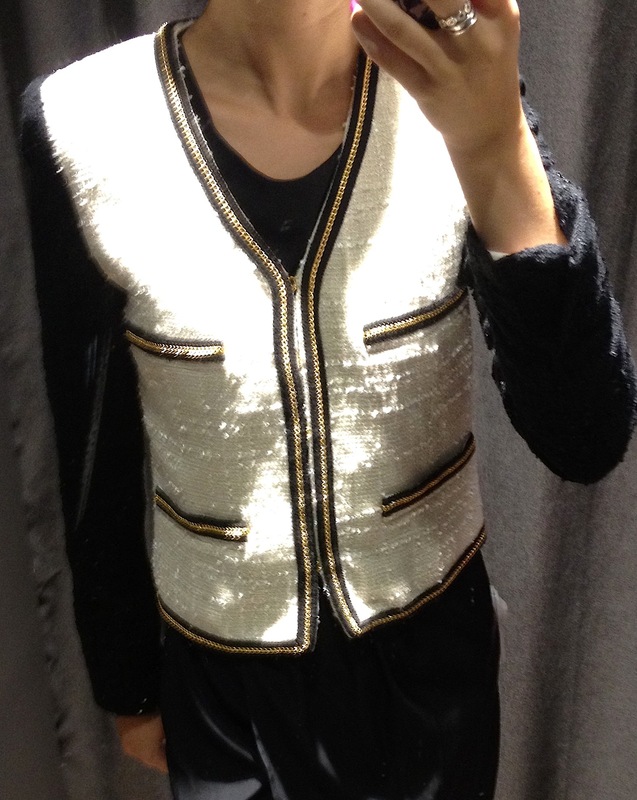 Here is the black jacket again – love the collar! 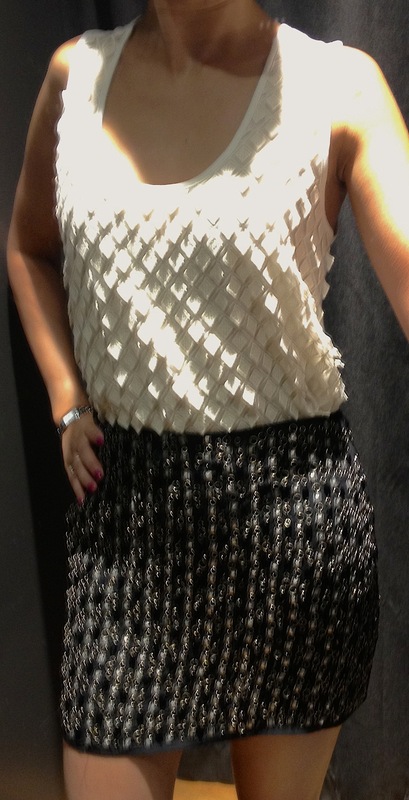 This sparkly top below costs SGD49. Let us know which look you like best! 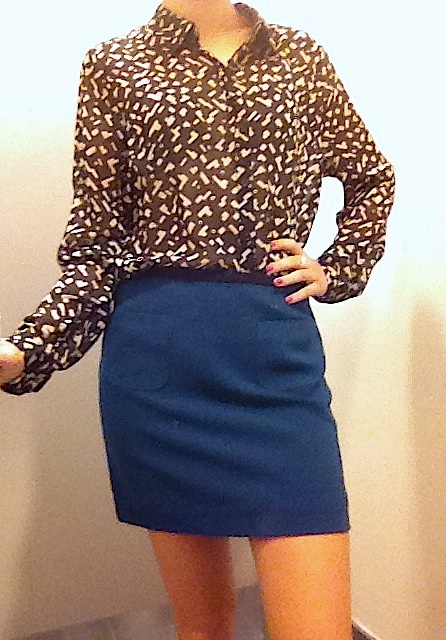 Fashion challenge: Looks for under $50 at Forever 21! Sometimes we find we just need a little fashion fix for our wardrobes. Forever 21 can be a bit hit and miss at times, but here are three of our favourite looks in stores now, all for under $50! 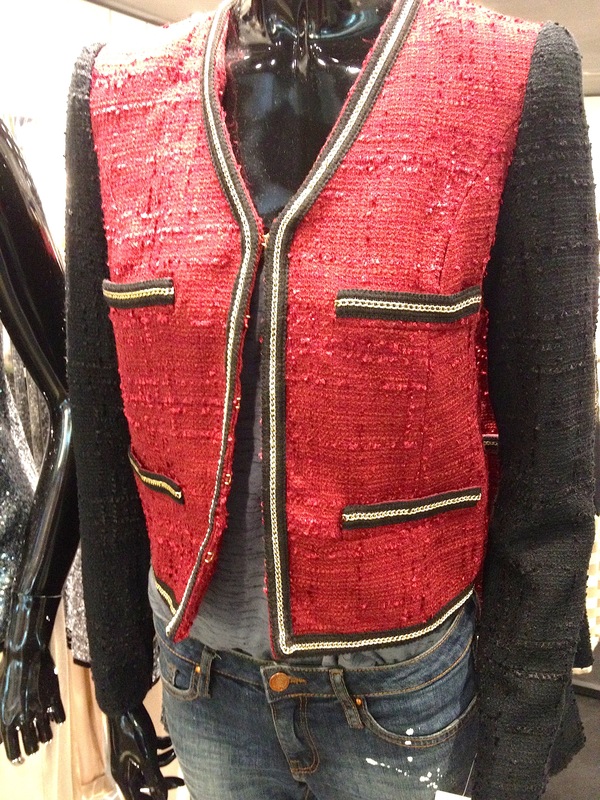 Red seems to be EVERYWHERE right now (just walk into Zara!). 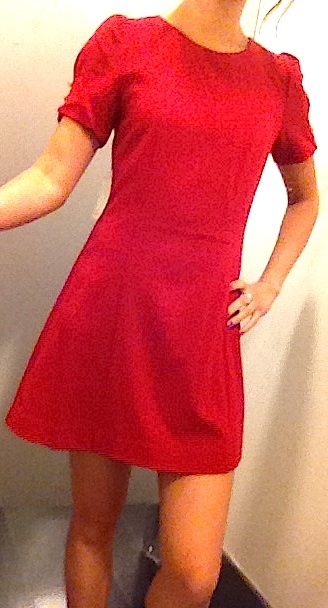 This dress is a cheapie but a goodie, and fits quite well. Pop on a blazer and no-one will know this dress was from Forever 21! Love the preppy collar on this dress with the studs – simple and we like the idea of teaming with a black bag and skinny belt! The dress does need a good steam though! WOOPS Ok so this look is a little over the $50 budget, but given the other looks were under budget, we thought we could get away with it! Love the blouse, which is so versatile, it can be teamed with any colour under the sun and if you wanted to play it conservative just team it with a black skirt! 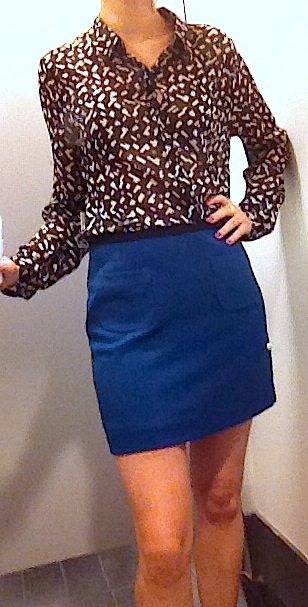 We love it with this blue skirt, however obviously if your office is a bit more conservative, we recommend a longer length! Love the idea of wearing a neon yellow skinny belt with this look too! 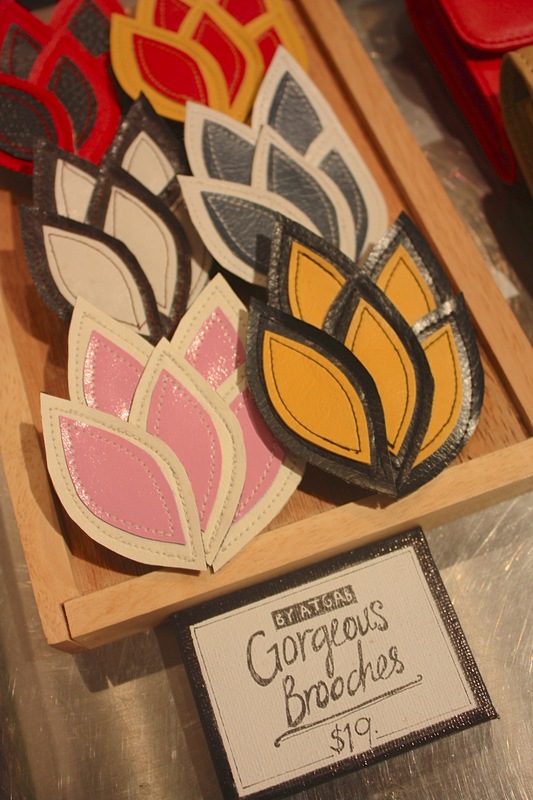 We recently visited Singaporean brand Lauren Jasmine (click here to visit previous blog post). Check out some of our favourite looks below – and yes you can purchase online in Singapore! For details on pricing click on the image. We especially love the black dress bottom right – a classic design with a twist! 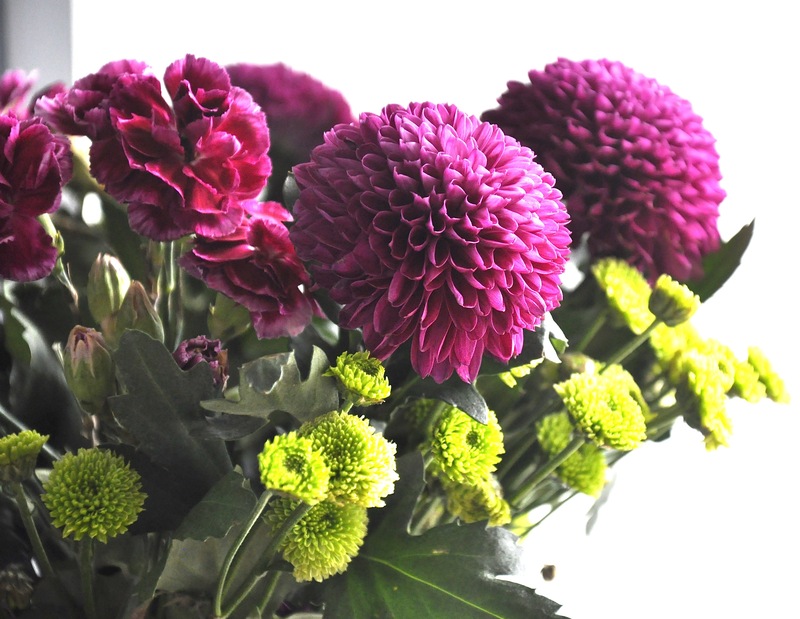 And speaking of all things botanic, here is a picture of the pretty flowers on Carmen’s desk right now! SKYE by Ana Liew’s new collection is called “Indian summer”. These are our top picks from the collection. We especially love the pink and purple dresses because they are so versatile (you can wear them in many different ways). Perfect to take on your next beach holiday! They are a bit on the pricey side, but given the versatility of the dresses and the colourful designs we think they’re worth it. 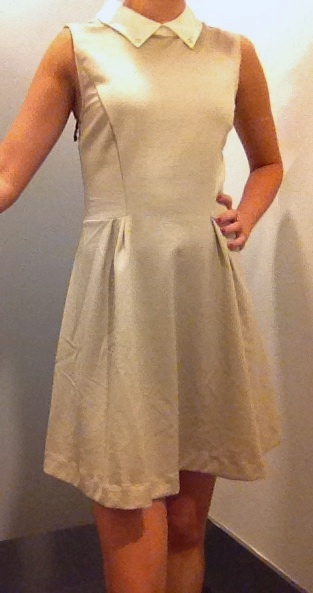 If you would like further details and pricing, just click on the dress you like! 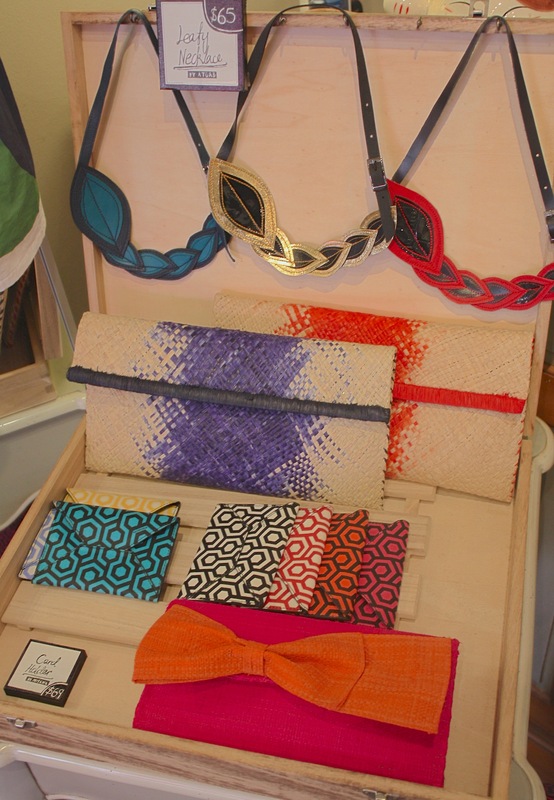 At the W boutique fair last week, we met the talented Irina McCreadie, self-taught designer of her own brand, Otkuda (which means “from where” in Irina’s native Russian). Otkuda provides a breath of fresh air in the Singapore fashion scene, her clever use of colour blocking and detailed prints in the current collection are perfect for this tropical climate! 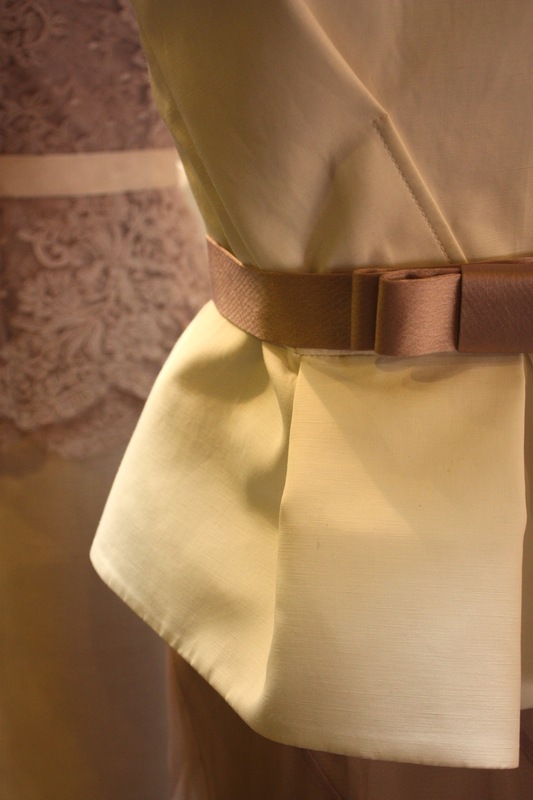 All the ready-to-wear clothes are made by hand, by Irina. The material is light and breezy, and she also designs clothes to flatter all body types. Even better, if you want her to customize something just for you, she can do that too! 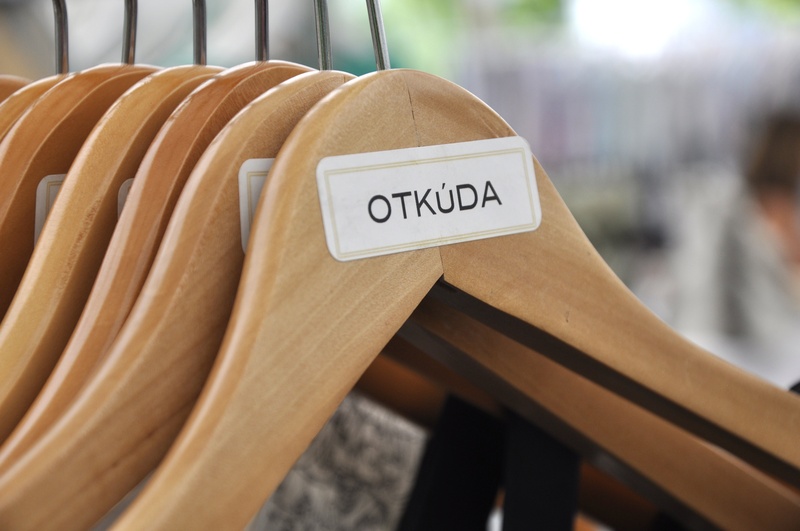 We present to you… Otkuda! We love this top below – the lighter pink tones it down a notch. 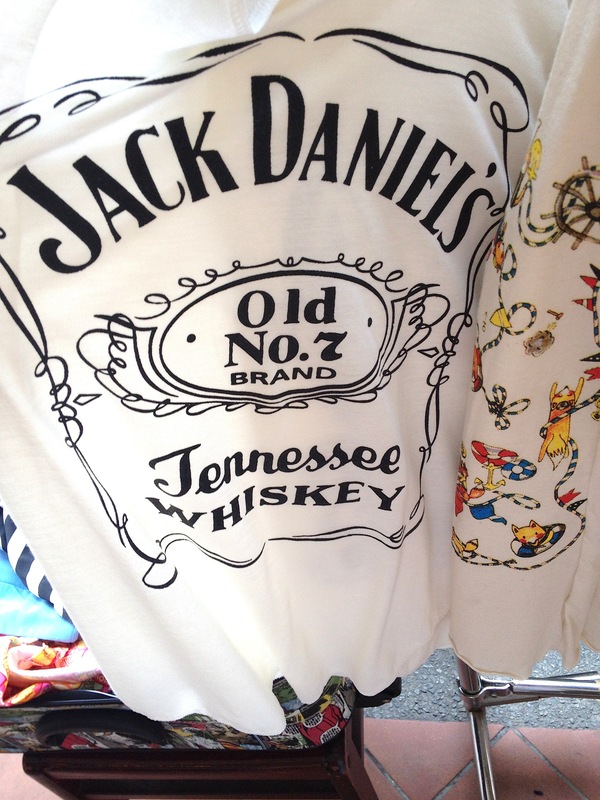 We would definitely wear this with white jeans! All handmade, and priced at a reasonable SGD50. Close up of the top above. 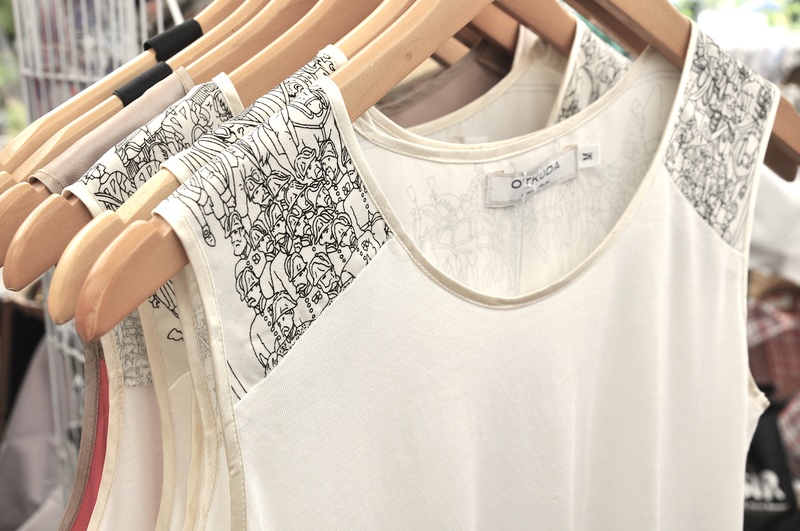 Check out this gorgeous tank top below – so versatile to dress up or down! On the topic of stunning, here is another dress that we think deserves to be on the red carpet! As mentioned earlier, Irina also take orders for truly bespoke garments, designed and fitted for the customer.This particular dress below would cost SGD800. That’s really not bad compared to purchasing a ball gown off the rack! The process involves meeting Irina for an initial design meeting followed by at least two fittings. Another gown designed by Irina! Simple yet elegant. 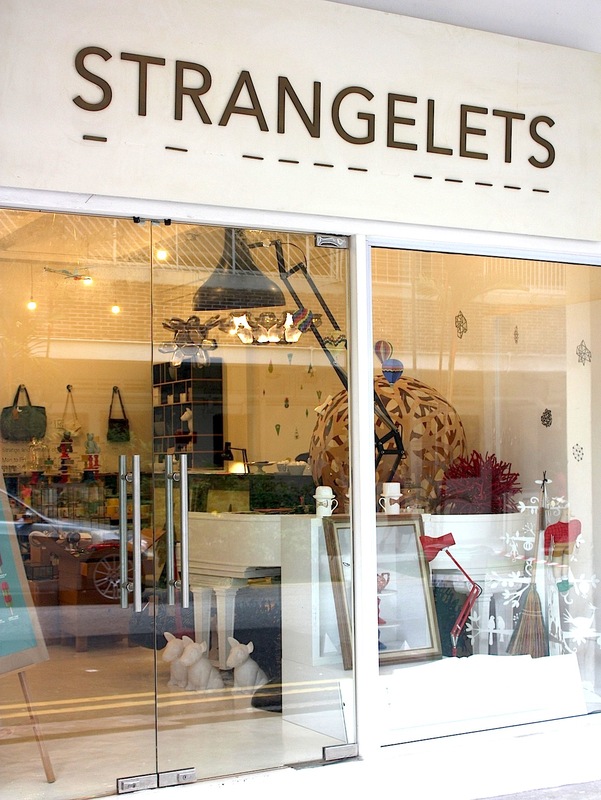 If you haven’t heard of Strangelets yet, then think kitsch, anti-commercial, quirky designer wares and that pretty much sums up the shop. A very cool place to visit if you are just getting a bit sick of the big malls! Side note… bring your credit card… you’ll need it here! 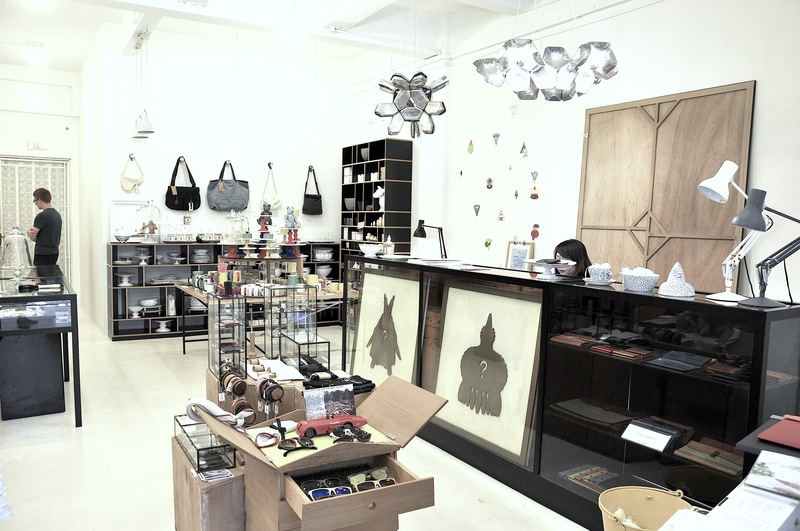 Strangelets used to be located at Amoy Street but has moved to Tiong Bahru (all details at end of this post). There are four owners, two of them are Singaporean and two are foreigners (South African and German). 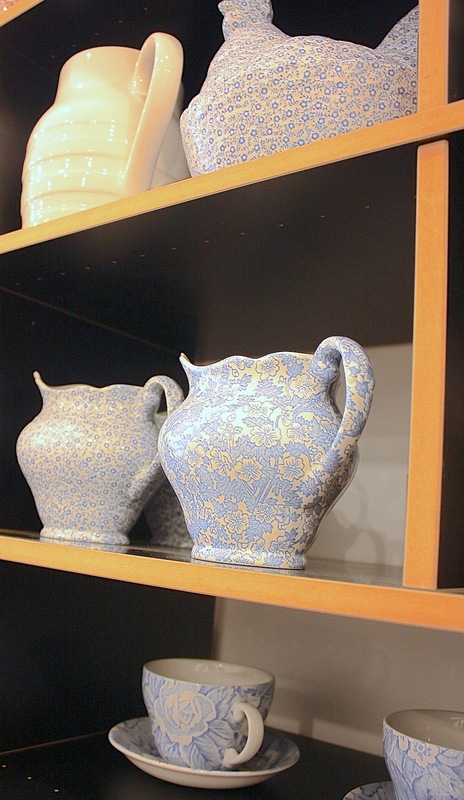 These different backgrounds add to the the eclecticism felt throughout the store. 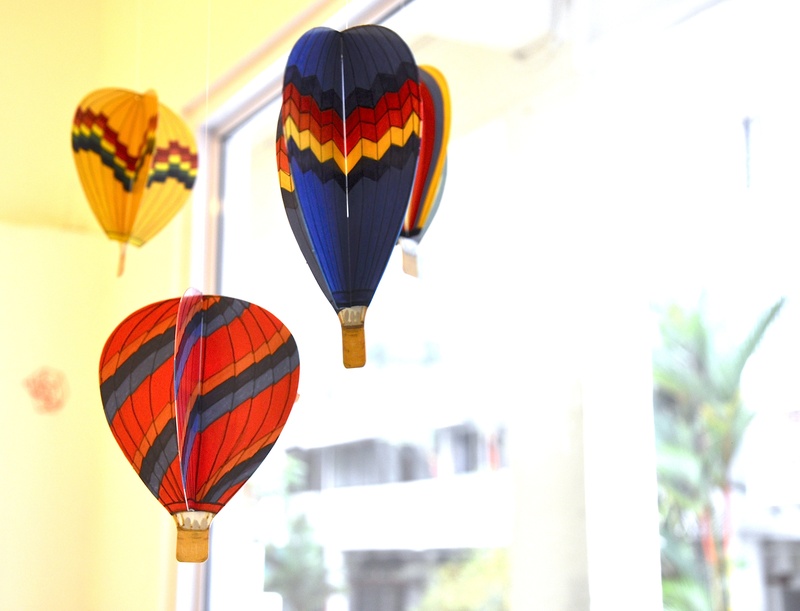 Paper balloons – the decor is magical! 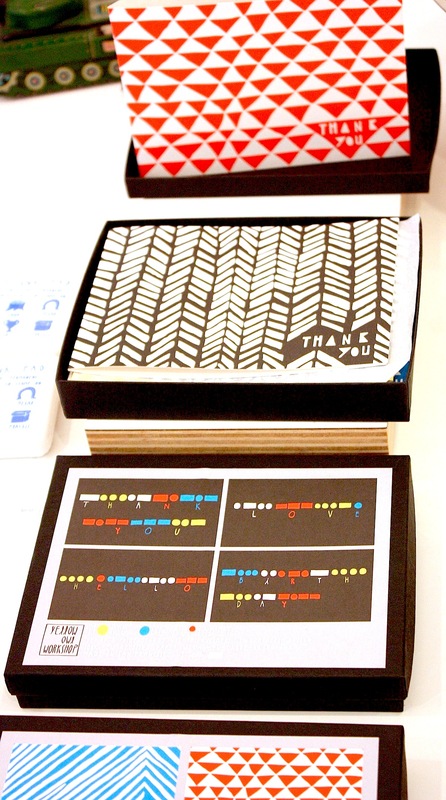 Very sweet little thank you cards – perfect to have in the drawer so you can send out when required! Creative little notebooks… the first one on the left says: “I am not weird I am unique”. That’s our favourite one. 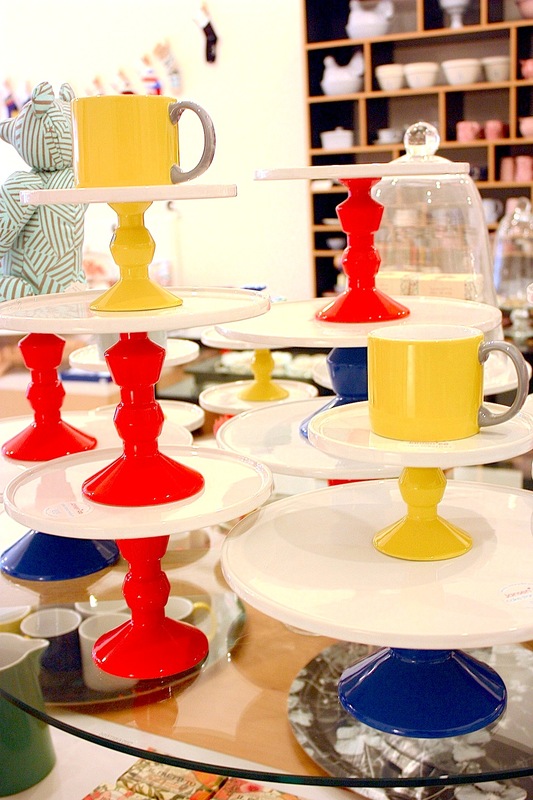 Colourful homewares! Yes these will cost you a bomb but at the same time, if you’ve ever walked into any major department store here, you’ll know that quality homewares and steep prices go hand in hand… At least these are quirky! 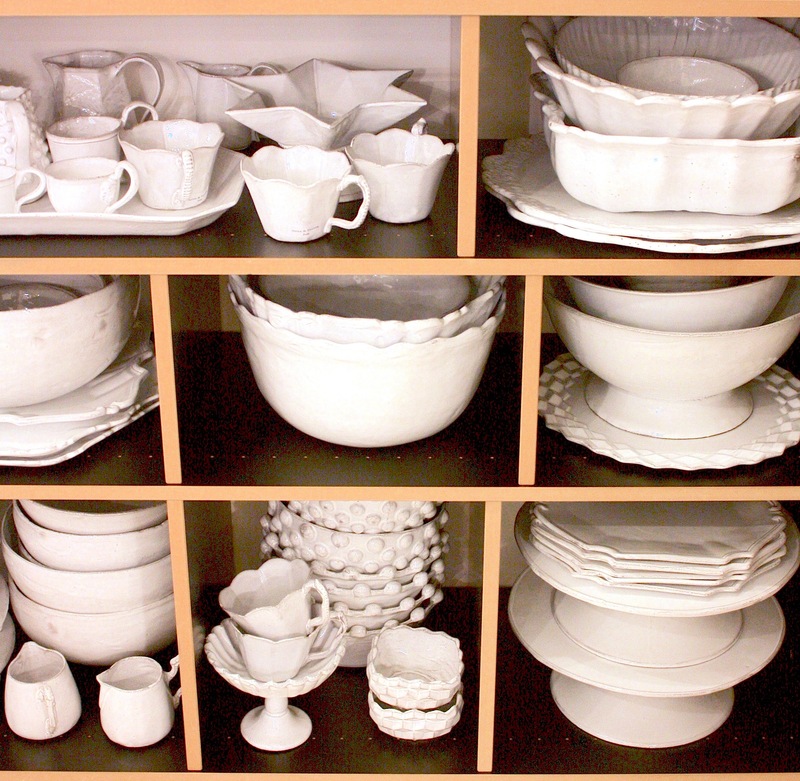 For cheap crockery we would recommend Temple Street in Chinatown. 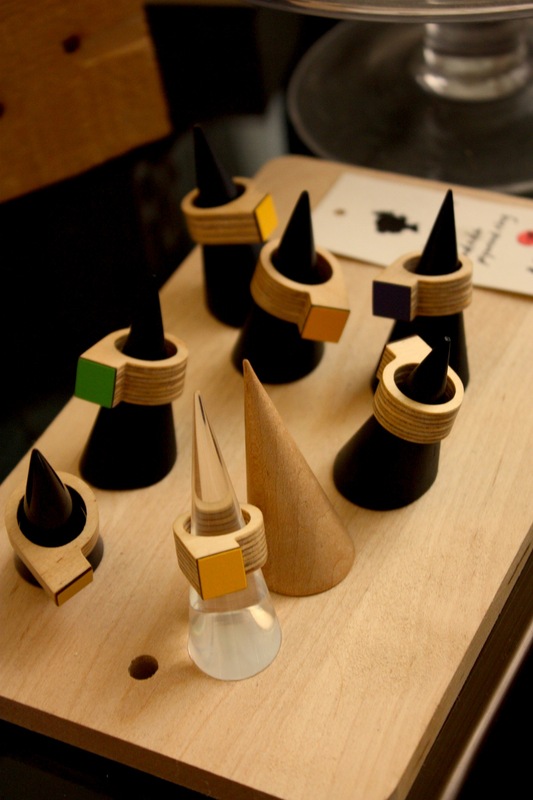 But when you want something a bit different, check out Strangelets collection! 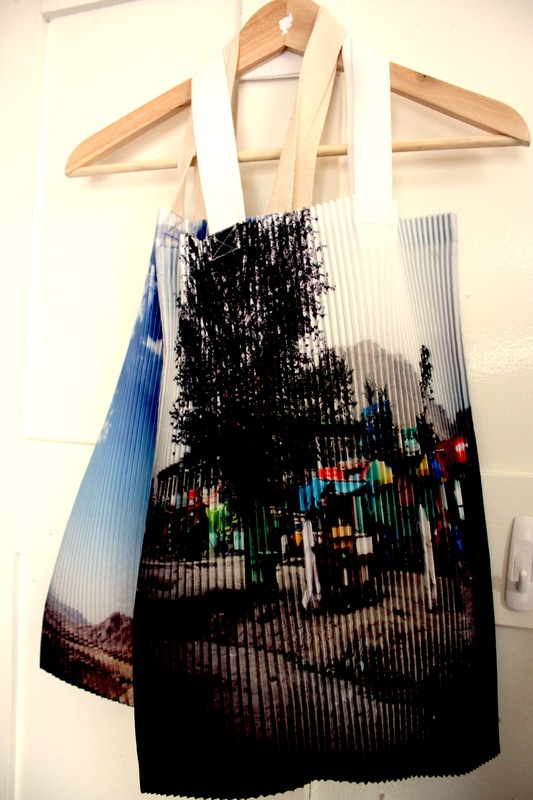 Just another example of the very cool homewares you can purchase at Strangelets! Imagine a bunch of white hydrangeas in the middle pot – how amazing would that look?! 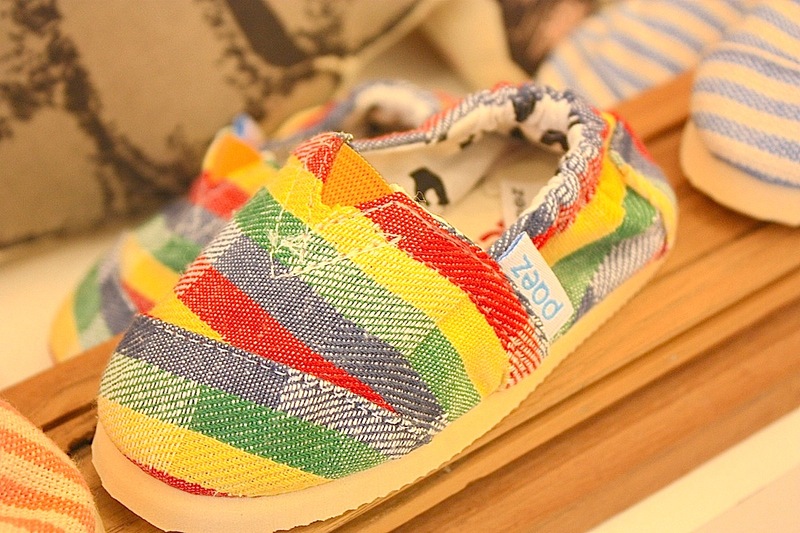 Two of the owners at Strangelets have had babies, and therefore you see they are expanding their kids section – check out how cute this shoe below is! Peachy update: Simona shoes – more pics! So after our last post on Peachy (see here) we have had some requests to show what the shoes by Simona look like on people – so here it is! If these photos don’t convince you to grab a pair, we don’t know what will! And here are the same shoes in mustard colour – one of the best sellers at Peachy (and given our current obsession with this colour, we think very fitting!). 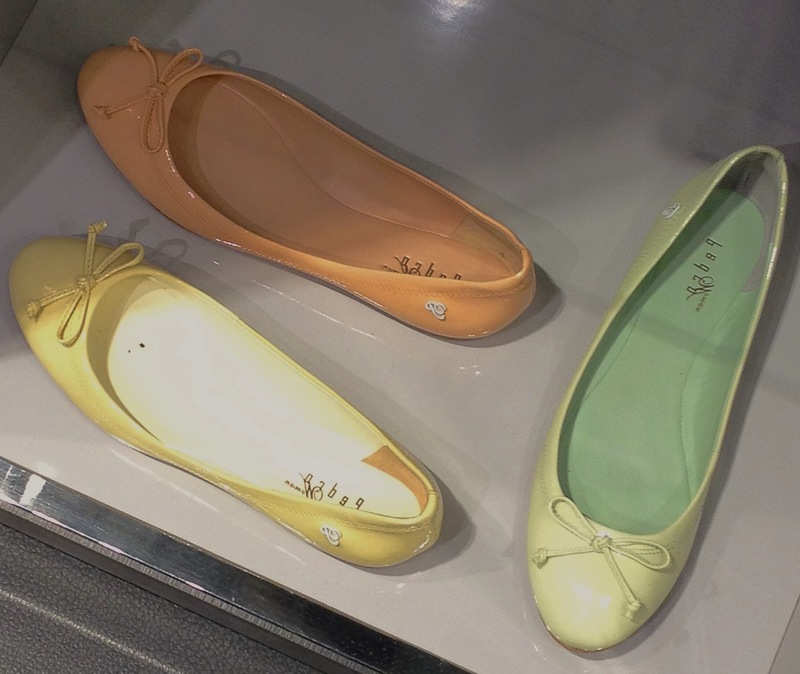 These shoes are available in EIGHT colours! 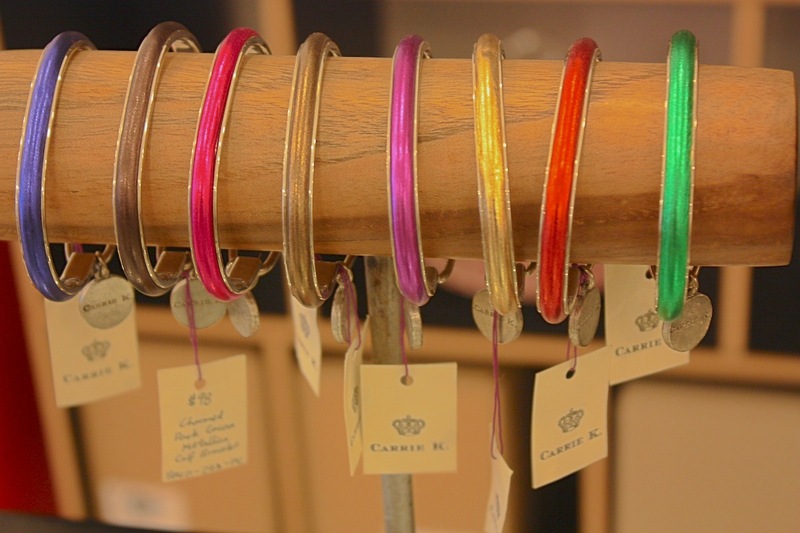 Tan brown, dark blue, yellow, hot pink, emerald green, black, silver and gold! 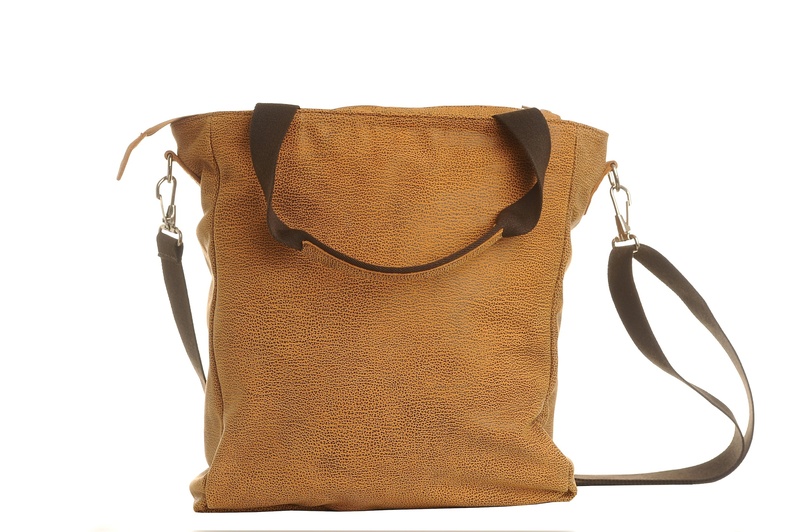 In case you really like the bag (another best seller), here is a close up of it! 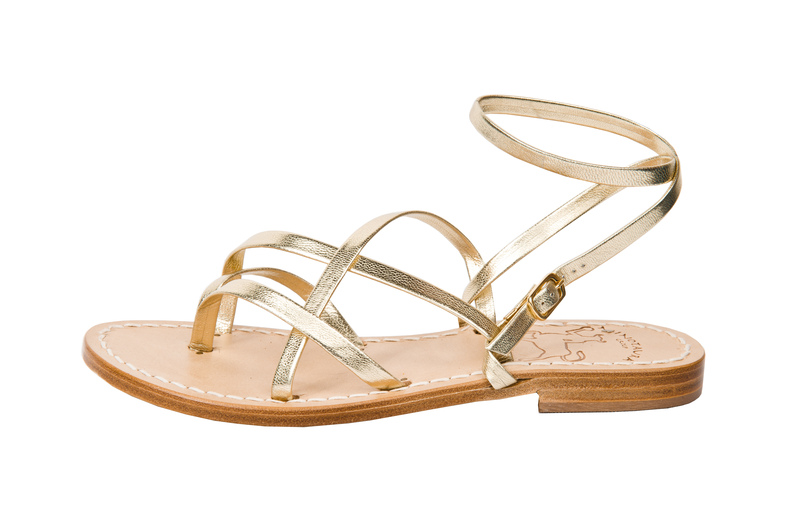 Priced at SGD449, it’s actually a limited edition and made of the softest calf leather. Singapore showroom is located at: 320 Tanglin Road, Phoenix Park, Block B #01-36, Singapore 247980. Please call on +65 9850 6780 to make an appointment prior to your visit. 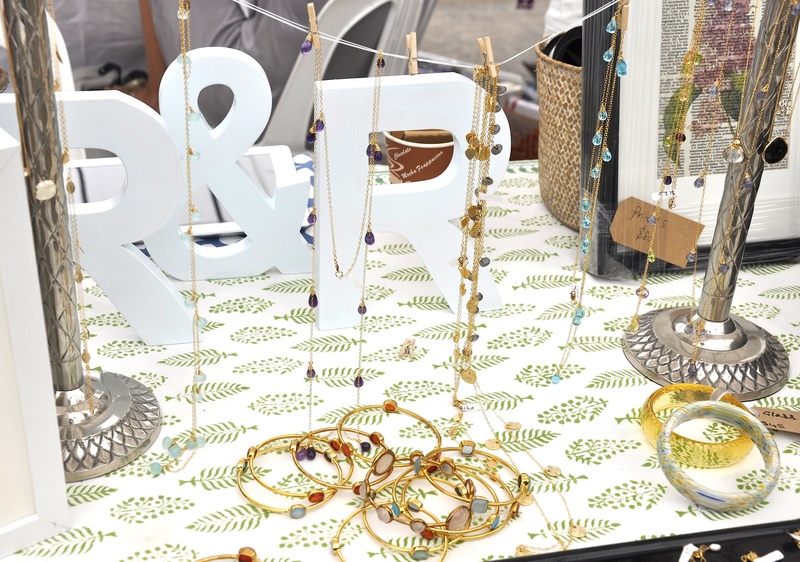 We met Marina Milburn, the owner of Ribbon and Roses, at the W Boutique fair last week. Marina, originally from the UK, decided to establish the brand after working 10 years in the fashion world and a move to Singapore. 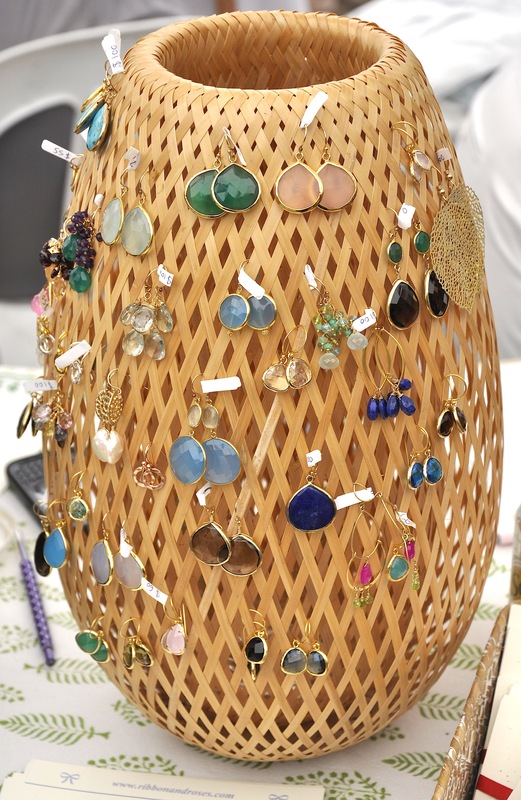 Here is a look at some of their collection found at the W Boutique fair – we found the brand to be feminine and dainty, and especially love the accessories! 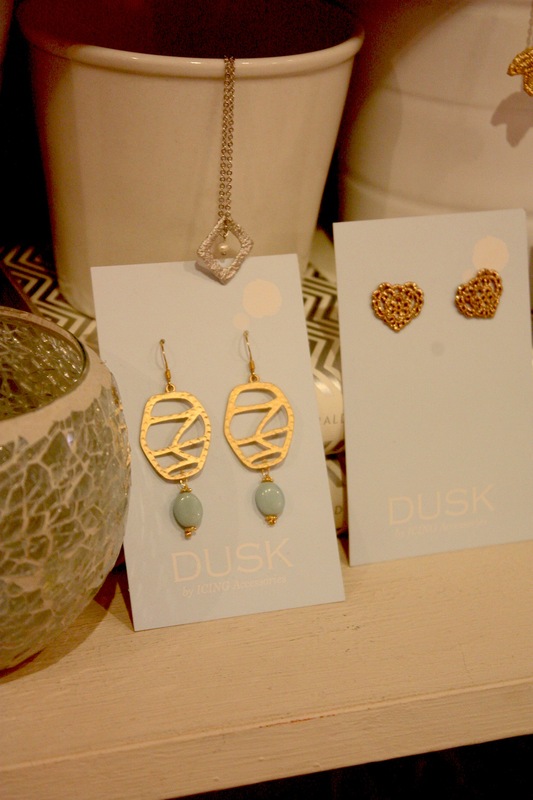 This jewellery is so feminine and romantic – perfect for when you want to wear a flowy summery dress that require dainty accessories. 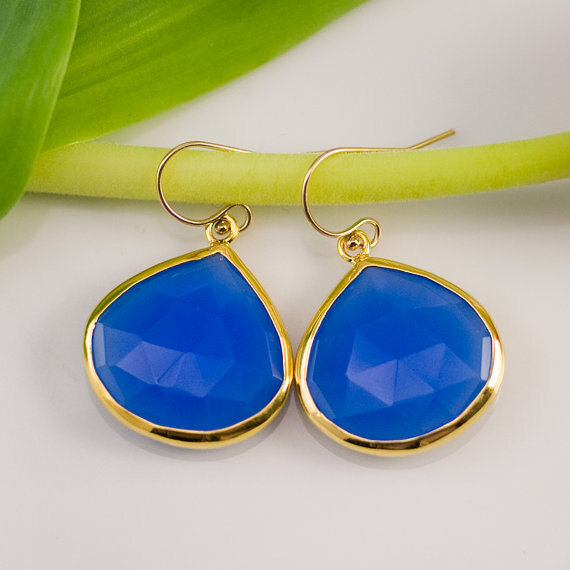 These earrings below are really popular at Ribbon & Roses. 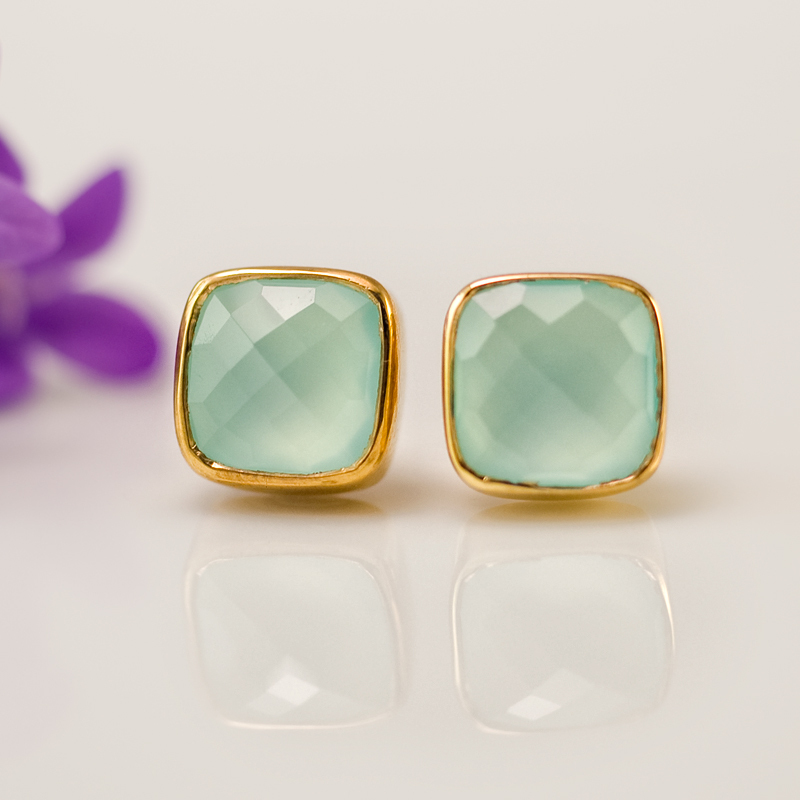 We especially like the idea of wearing the green ones at the top with a simple black structured dress! 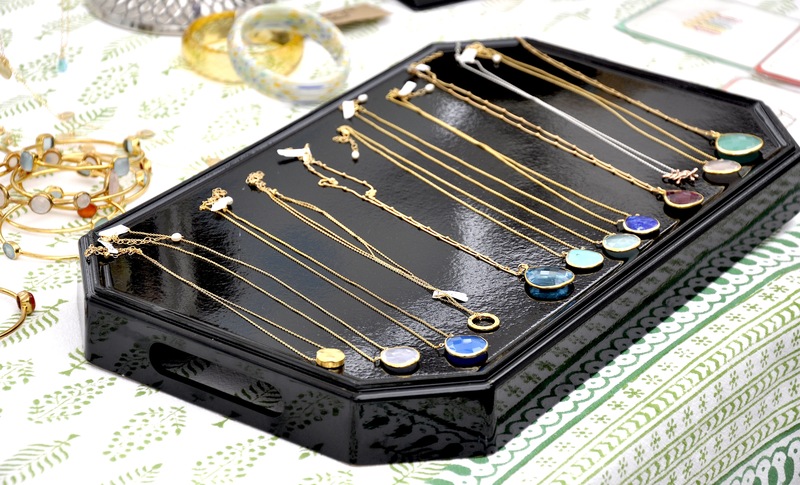 Turquoise, black agate, labradorite, chalcedony, lazuli… these necklaces below are heaven on a chain and cost SGD80. 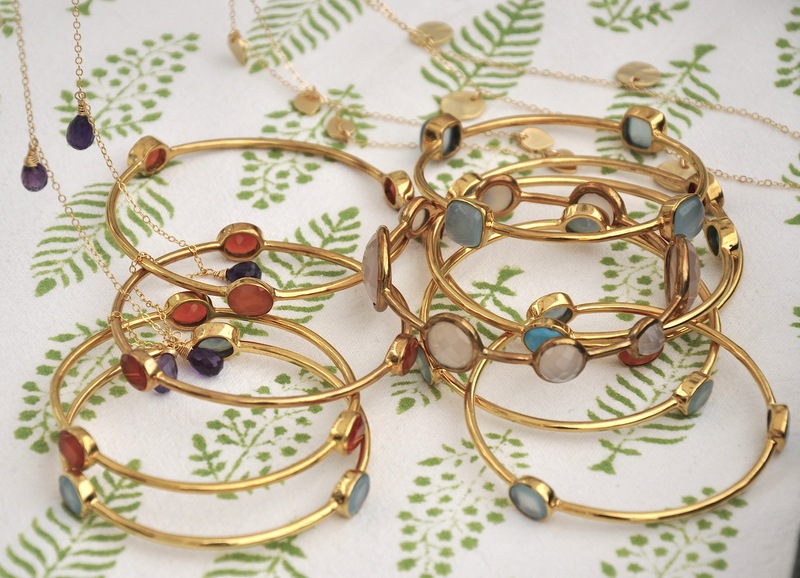 Love these bracelets below – you can mix and match! They are very popular and sell out quickly! Prices from SGD50. 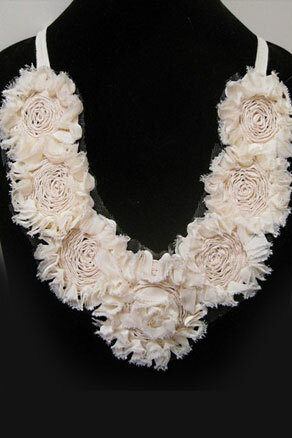 A handmade chiffon, tulle and cotton rose bib ribbon necklace below – loving this! 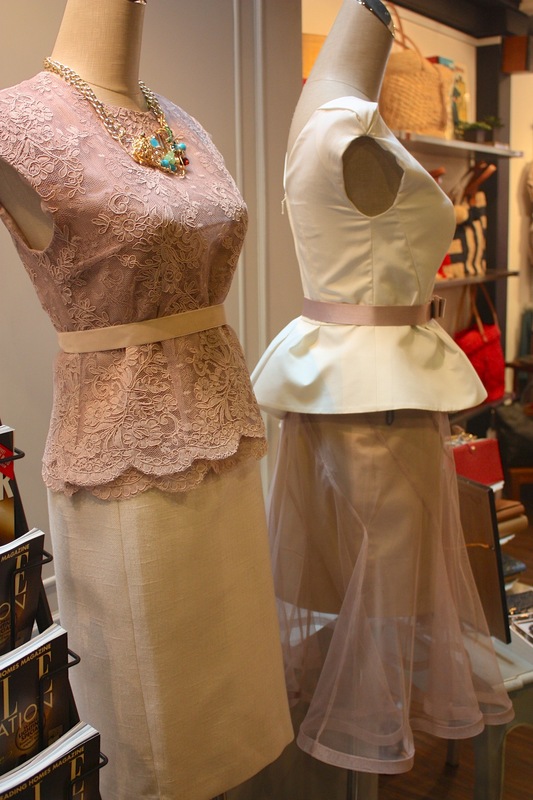 These dresses below are amazing – they remind us of Diane von Furstenberg (without the designer price tag attached!). Which colour do you like the most? 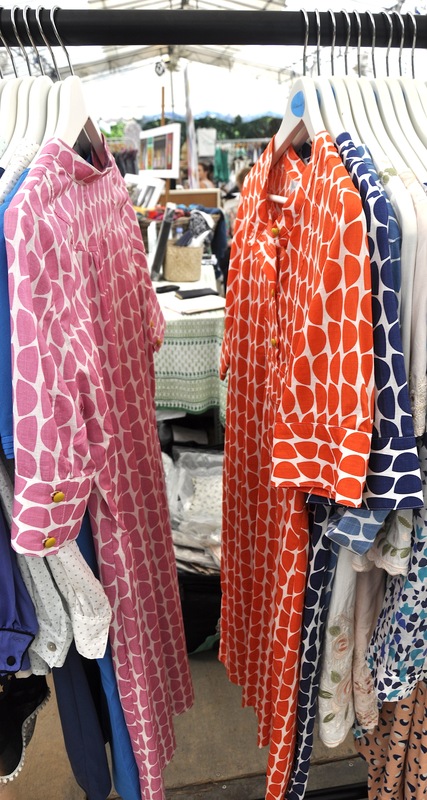 Looking for a colourful beach wrap dress? 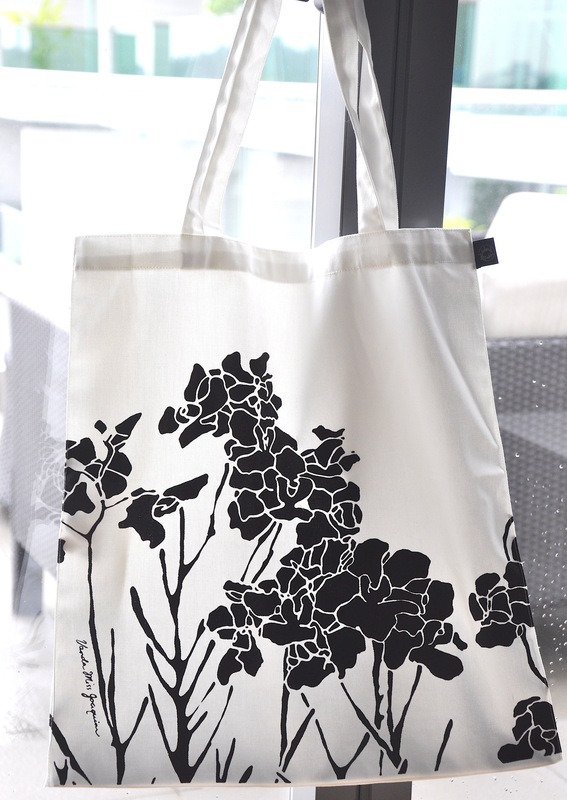 This one below costs SGD110. Like shoes? How about these black and white quilt pumps below – they remind us of Chanel or Tod’s ballet pumps! And they’re 20% off! Now priced at SGD74. 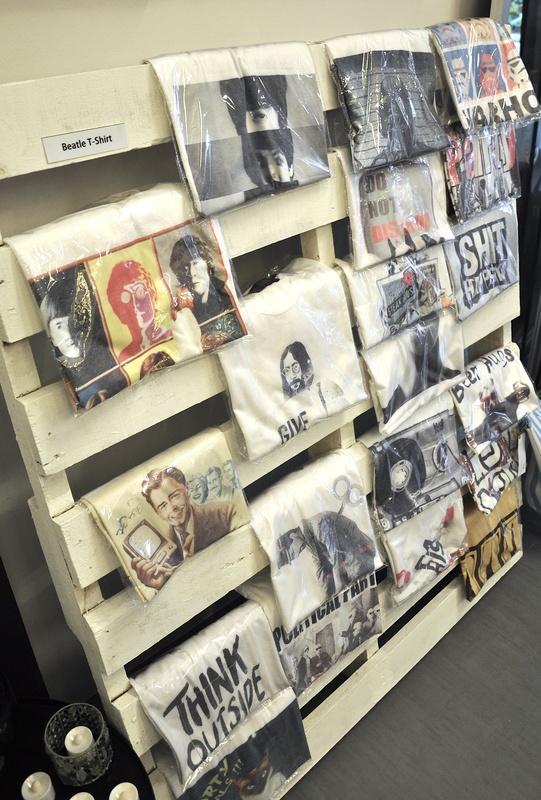 Ribbon and Roses also sells bags, homewares, art prints, scented candles and even gift vouchers! Ribbon and Roses is an online store however they are also expanding offline – now available at Antipodean, Trixilini, A-Mod and they even had stock previously available at Nana & Bird… but it sold out so quickly!. They also offer a home shopping experience for you and your girlfriends where you can have a R&R shopping party at your home (think girls night in with cocktails and shopping!!)! For more details see contact information below! 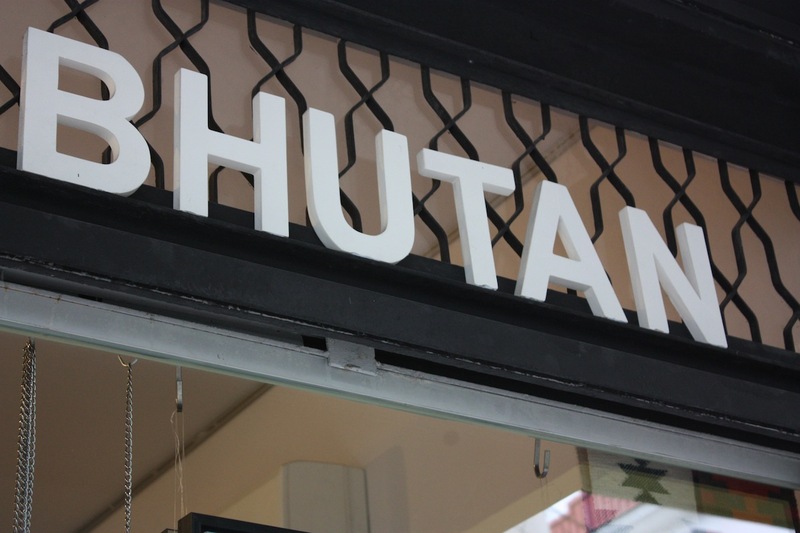 Tiong Bahru adventure continues: Introducing Bhutan! Do you ever feel like you want to go to the magical Bhutan on your next holiday, but cannot be bothered to apply for the visa and plane ride? Now you can hop on a cab, bus, car, or walk to Bhutan – located on Yong Siak Street in Tiong Bahru! We discovered this fantastic little shop after our visit to Nana & Bird and thought that it would be a crime not to blog about this gorgeous quaint shop. 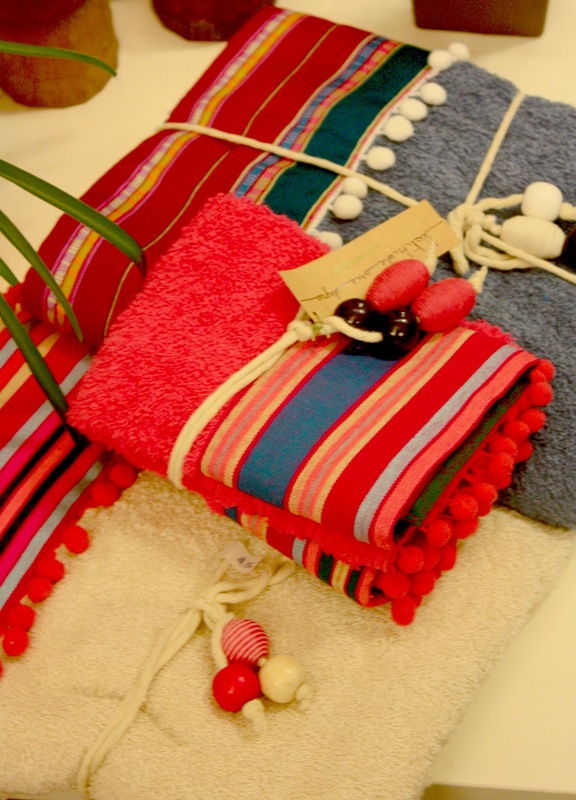 The store started out selling Bhutan-made goods such as textiles, traditional clothing and jewellery but has now diversified to include quirky homewares, paintings, fashion jewellery from Monaco to Japan, soap (the store smells amazing – we think it’s lemongrass! 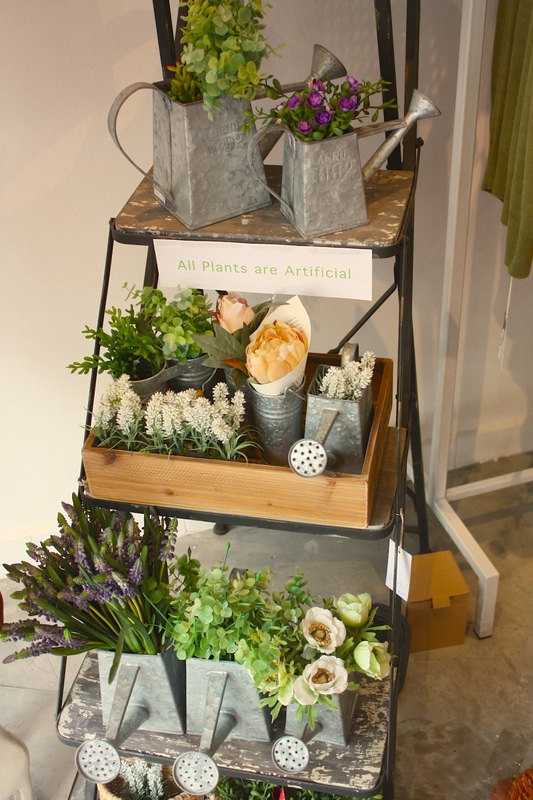 ), and even plants… all under one roof! There are plants everywhere…and we mean everywhere! 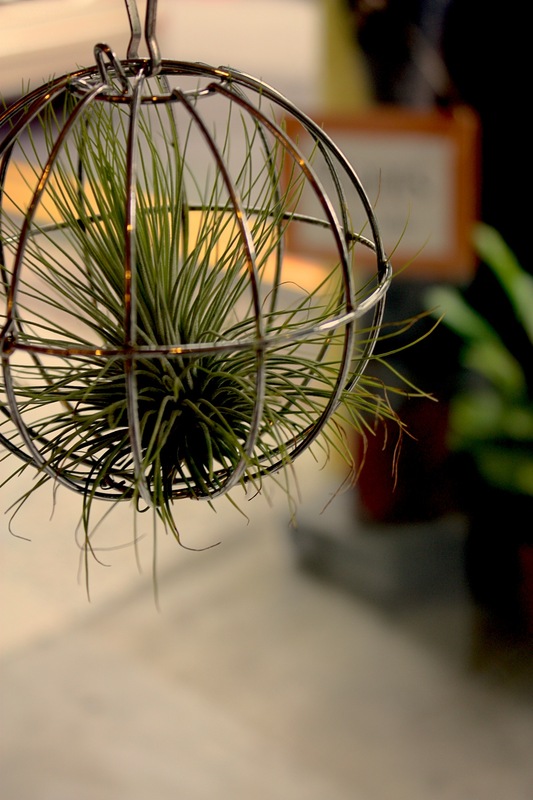 From outside the shop to indoors… they even sell terraniums which are sooo cool! Haven’t seen these sold anywhere else in Singapore! And they’re all for sale! 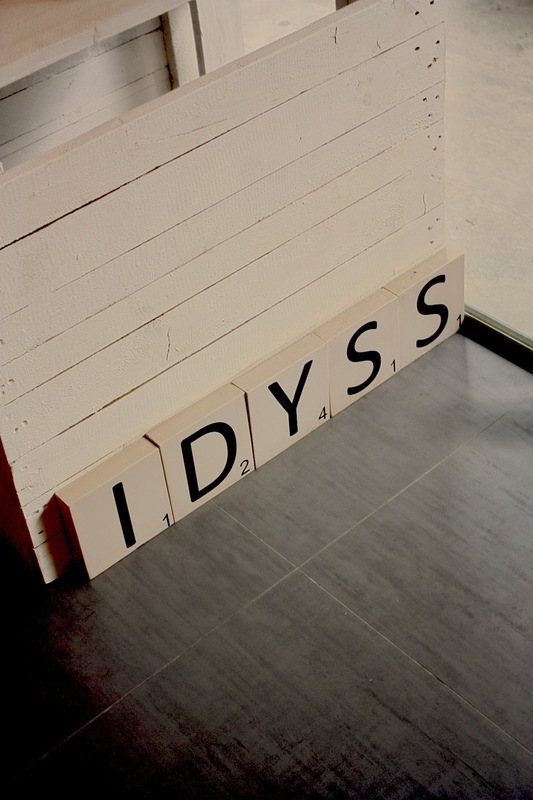 We have no idea whether the jumbo scrabble letters below are random or if “IDYSS” means something (if so, please feel free to enlighten us by posting a comment below!). Either way, we love the decor in Bhutan – it is quirky, eccentric and actually quite calming – no hustle and bustle here! 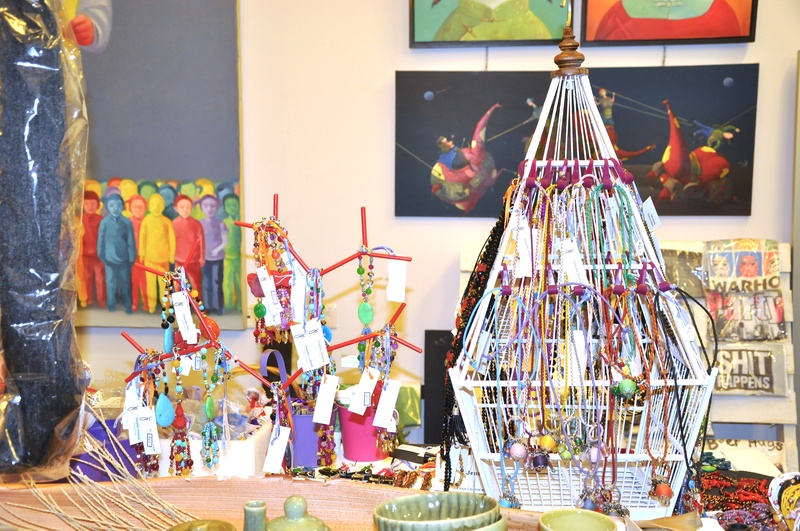 Some of the jewellery in the shop centres around philanthropy, with the designs below contributing to a Vietnamese charity to improve the lives of the so-called boat people of Hue. To learn more about this click here. 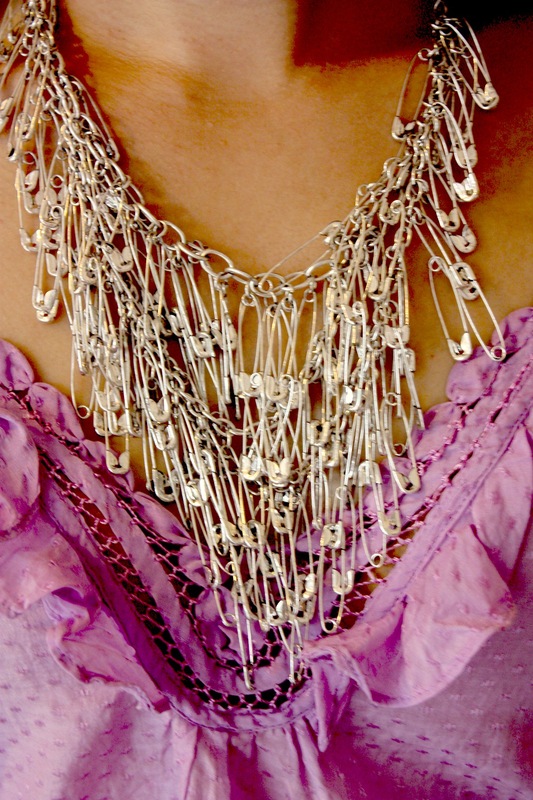 This necklace below is made out of SAFETY PINS! Who would have thought? Natasha wanted to go home and immediately raid her sewing kit to make this herself, we think this would definitely create conversations! This shop makes you happy. How could you possibly remain depressed with so much vibrant colour throwing itself at you everywhere you look! We love the children’s paintings on the wall in the background – they are magical! Beatles t-shirts in Singapore – at SGD25 each! 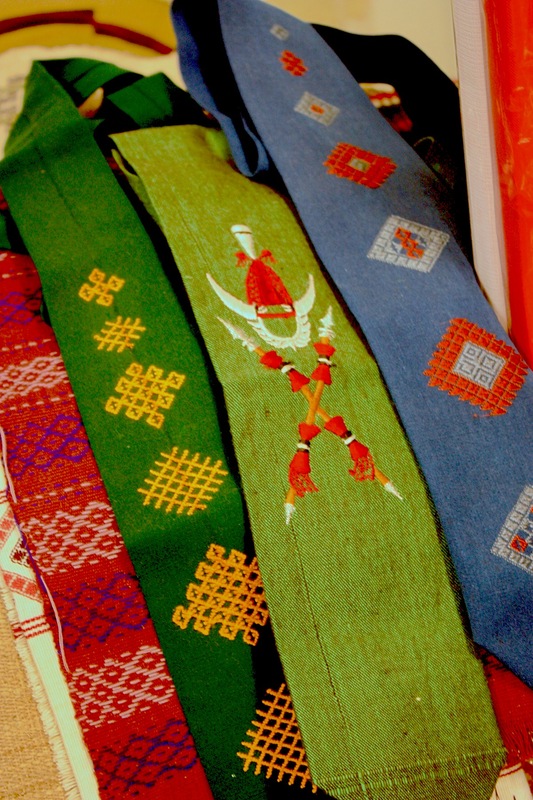 And in case you were wondering where the traditional Bhutanese products were (or even what they look like) – here are a few pics! Opening hours: Tuesday to Friday: 10am to 6pm; Saturday and Sunday: 10am to 4pm. Closed on Monday and public holidays. Carmen & Natasha tip: note Nana and Bird is also closed on Mondays (and Tuesdays), so we recommend visiting on any other day but these ones… and if you want to eat/ drink coffee, we can highly recommend Open Door Policy just down the road (19 Yong Siak Street). 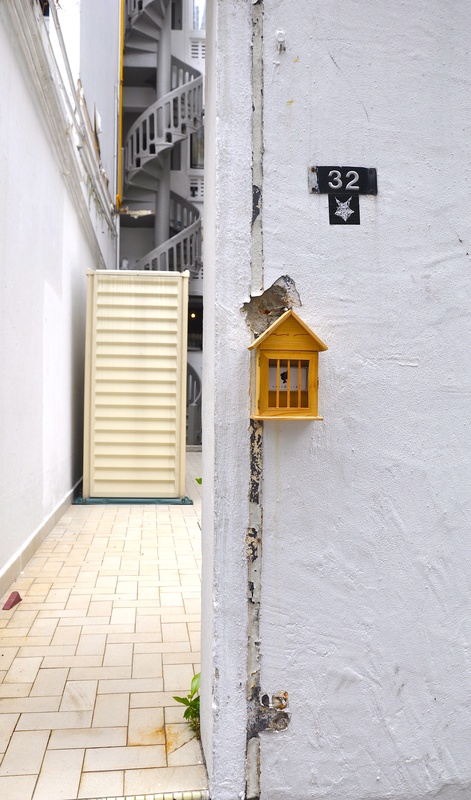 We simply could not get enough of Tiong Bahru, the day we fell in love with ‘Flea and Trees’ was when we decided to conquer the area one cute little shop at a time. Our instinct has proven to be more accurate than our sense of direction, and it certainly did not fail us this time when we stumbled upon Nana & Bird. 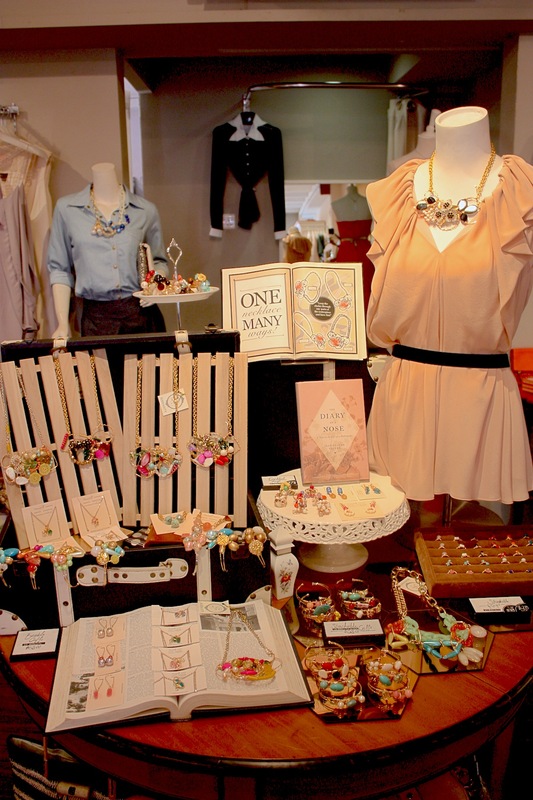 When we stepped into the shop, we were ooh-ing and aah-ing as we gaze at all the cute items around us! After gaining our composure, we decided to ‘get to work’ and try on all the cute things we could possibly find (it’s a tough job, but someone has to do it!). 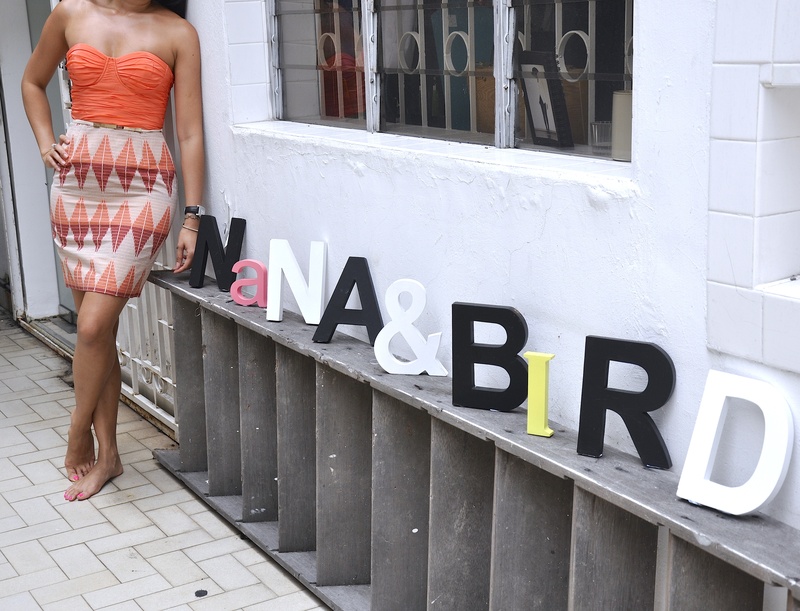 Carmen and Natasha proudly present you: Nana & Bird! We stopped in our tracks and fussed about how clever the signage is (above). LOVE IT! Just to clarify, we visited the “flagship” Nana & Bird store on Chay Yan Street (there is another pop up store on Seng Poh Lane). The store can be a bit tricky to find (well… maybe only for some people) – but here are a few photos of the entrance so you know what to look out for! We love the circular stair wells found throughout the area. Now let’s explore inside the store! First stop: jewellery! 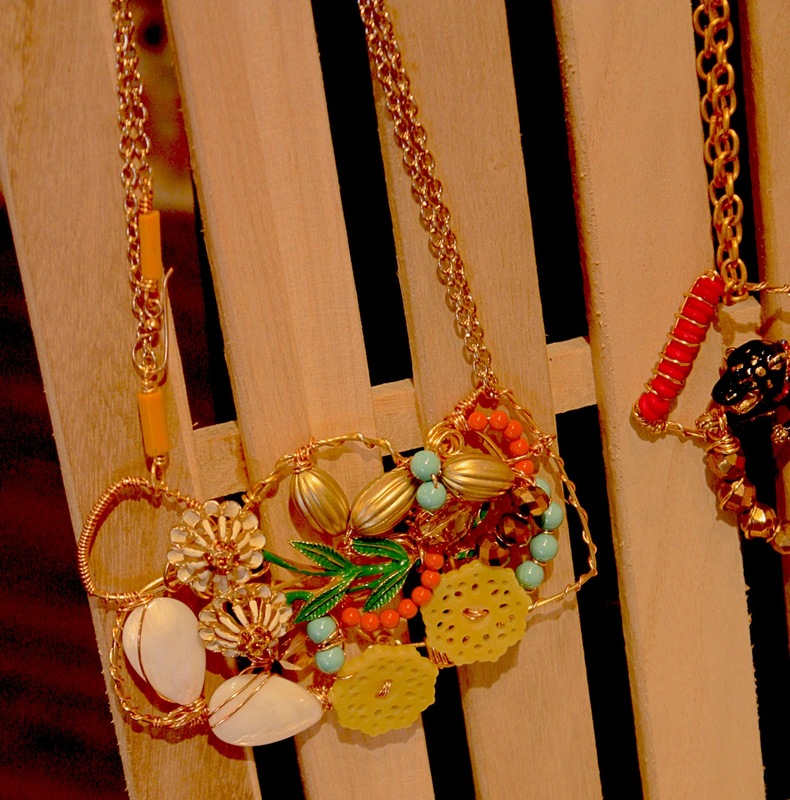 The colour crazy necklaces below are designed by Jennifer Loiselle Margot. The pink and orange tassel necklace at the bottom is sold out on polyvore.com so if you want it head down to Nana & Bird immediately! 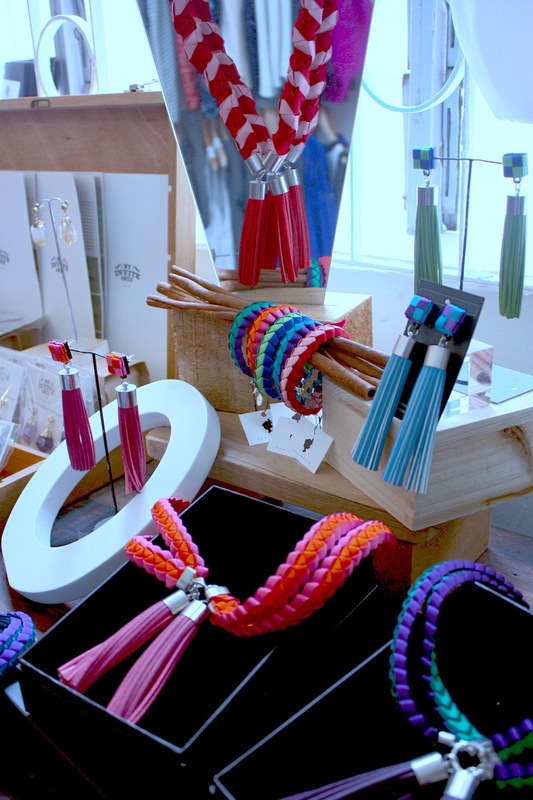 The collection is said to be inspired by the tropical climate, cowgirls and neon brights! Punchy tassel earrings by Jennifer Loiselle Margot. We seem to be finding the cutest rings in Singapore these days! 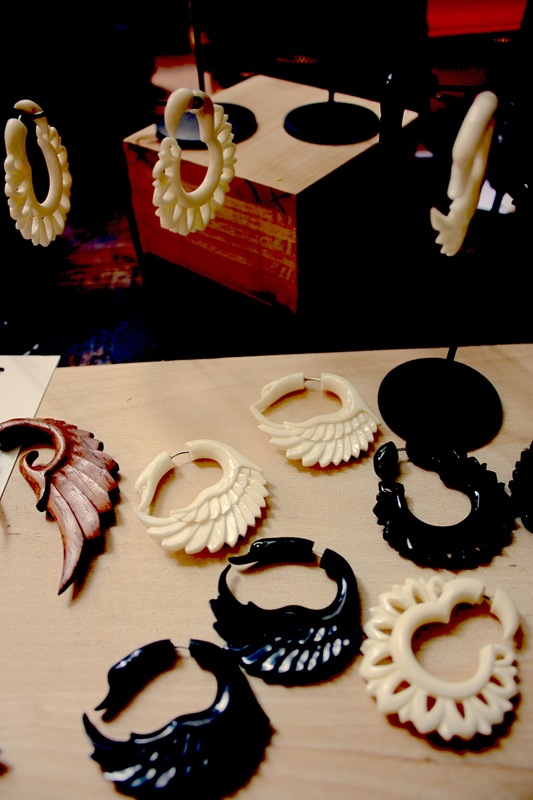 Soon we’re not going to have enough fingers to wear them all! 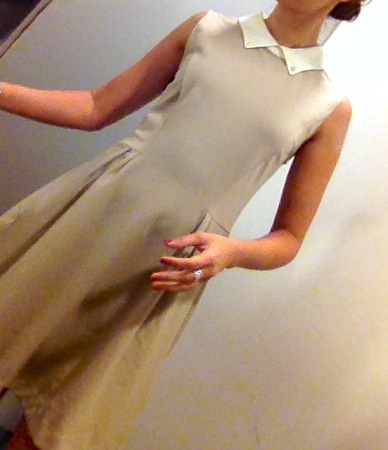 This dress is so adorable, and the collar can be detached for a totally different look. Grab a cute clutch and ballerina flats, put your hair up in a pony tail or messy bun and off you go! How amazing is the knit dress below? The dress is knitted but it’s cool enough to handle Singapore! Natasha works the look with a metallic clutch and we love the necklace that goes with it (by Jennifer Loiselle). Here is the back of the outfit shown above. We really wanted to show you the back of the skirt – it’s just too cute! The color combo of this dress below is divine! The drawstring waist is perfect because you can adjust it accordingly. 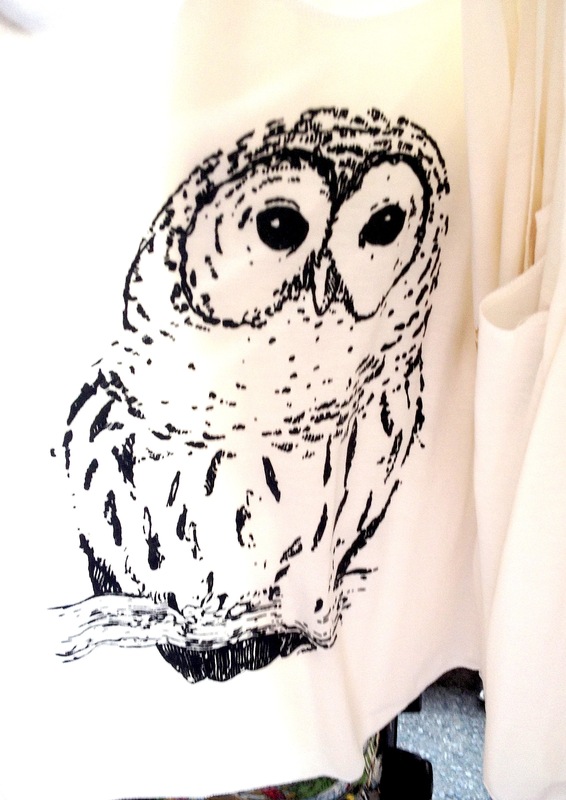 We literally gasped when we saw this bag. The best part is that it’s on 20% discount! We love everything about it, it’s unique, authentic, the print is so eye-catching, and it can fit so much stuff, it’s light. Need we say more?